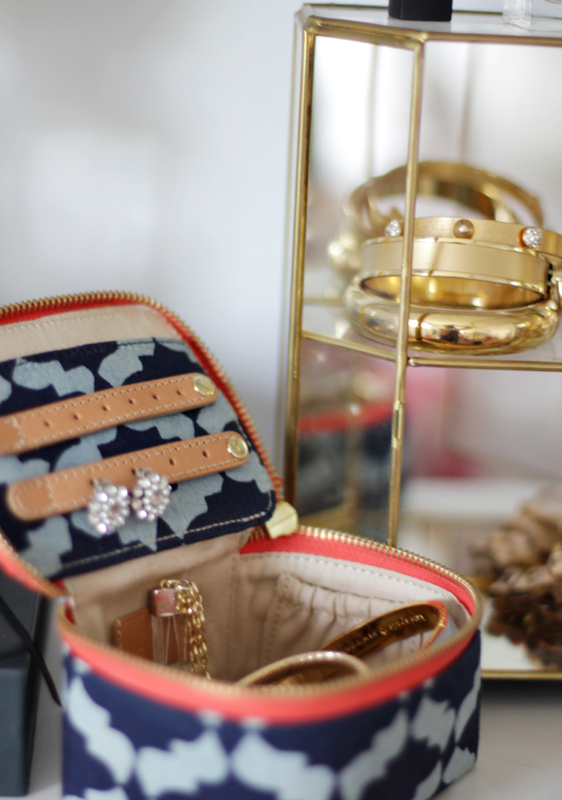 Jewelry storage + love this travel case to keep them protected on the go. 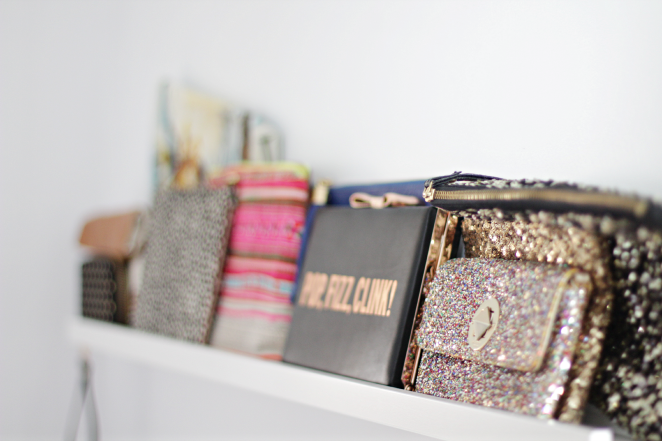 I use this wall ledge as storage to display my clutches for easy morning dressing. How gorgeous are all of these photos?! 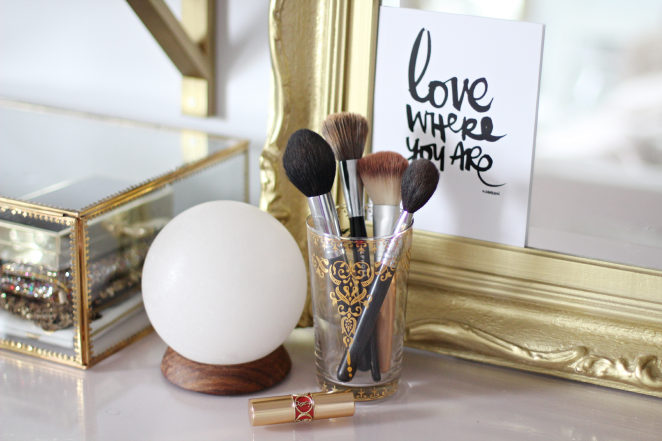 Your space looks amazing! 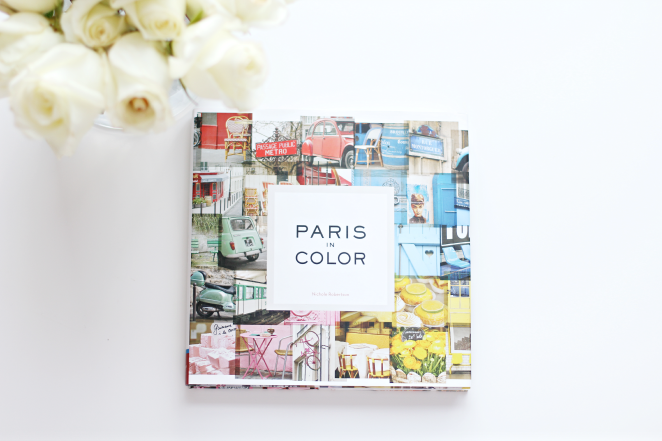 I'm kind of coffee table book addicted as well. 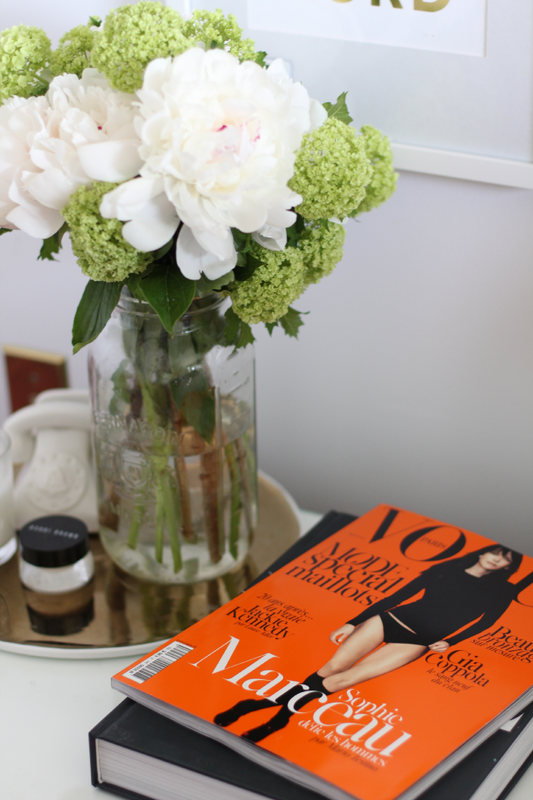 My happy place: magazines, flowers, candles, tea and a comfy bed. 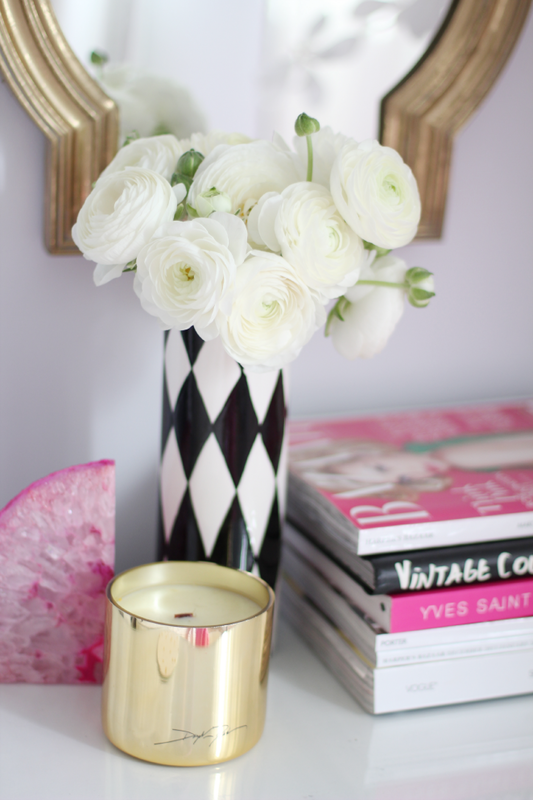 I love how glam and whimsical white ranunculus looks on a night stand. 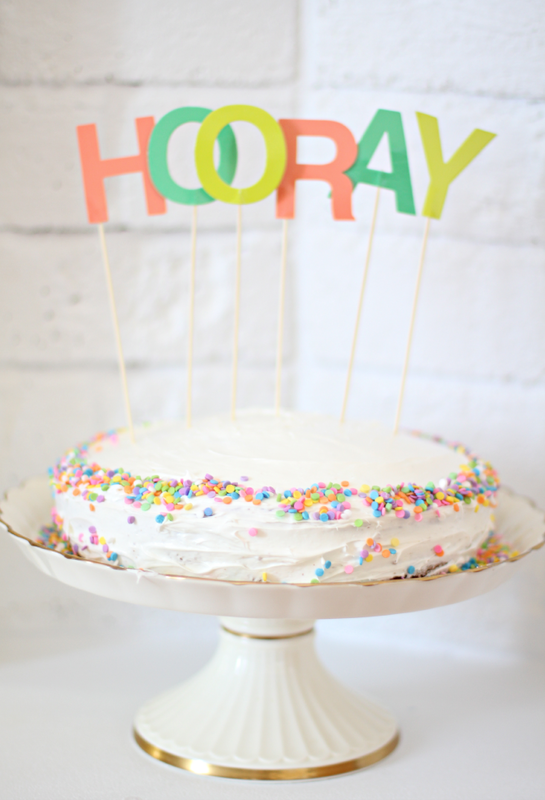 The happy confetti cake I made for Easter, topped with these sweet Oh Joy x Target letters. 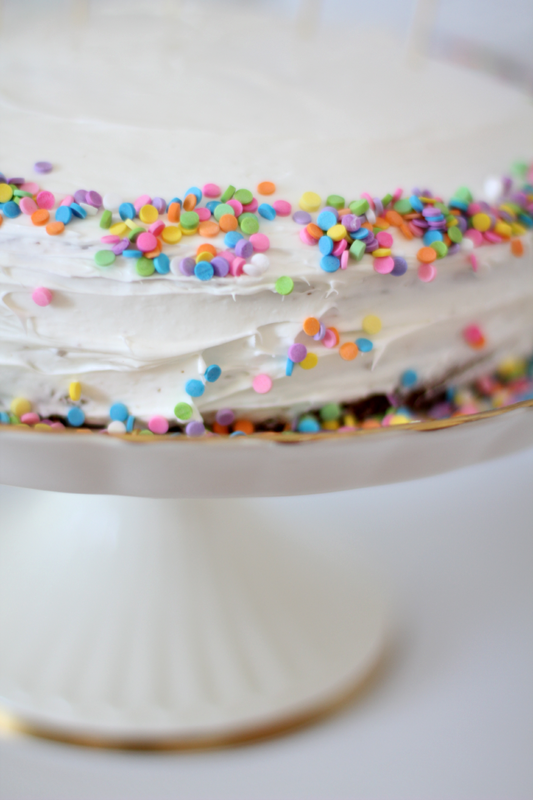 A healthy dose of sprinkles. 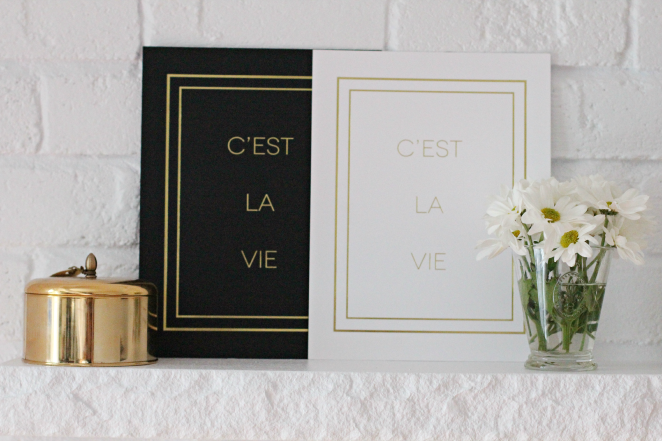 Stripes + Gold Foil are an SS PRINT SHOP fave, love how these two prints compliment each other. 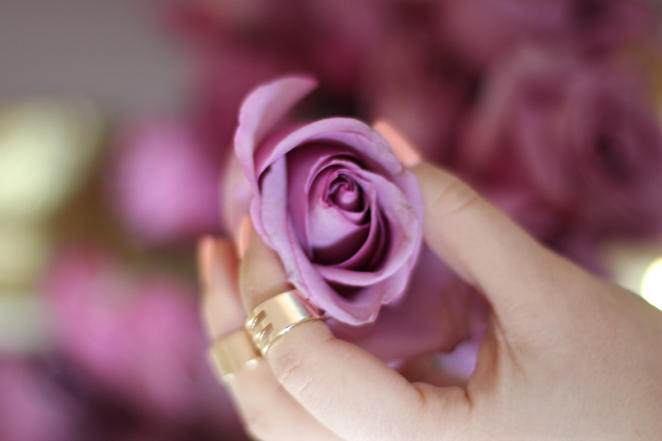 Loving knuckle rings, especially from Cat Bird NYC. 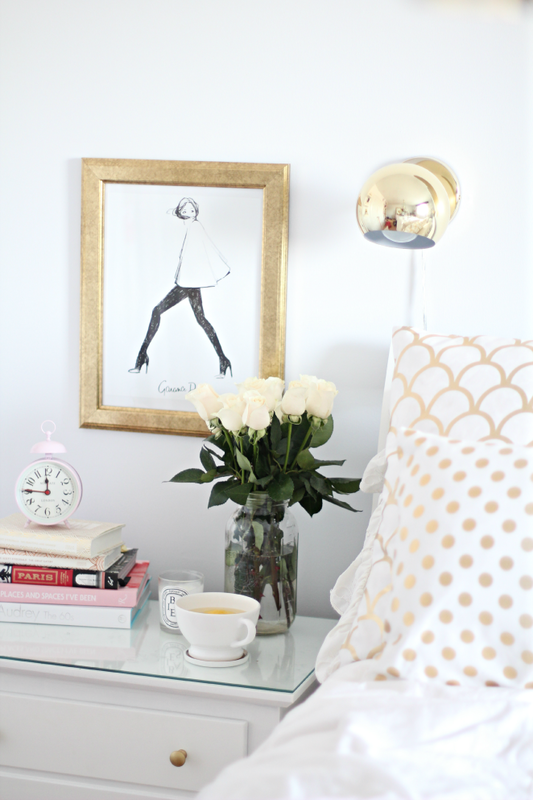 Love all the cute, whimsical aspects in your room! Also the colour scheme is perfection. Hope you have a lovely time in Dallas. Hey Steph! 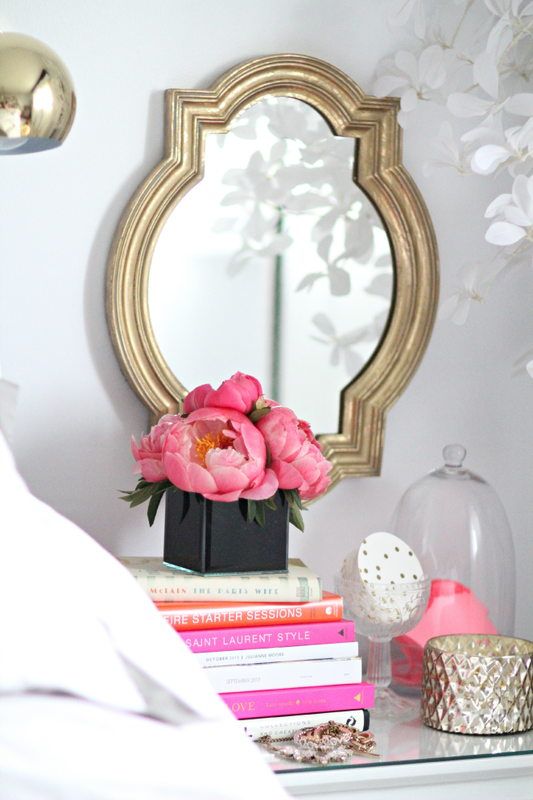 I just discovered your blog and I love love love it! 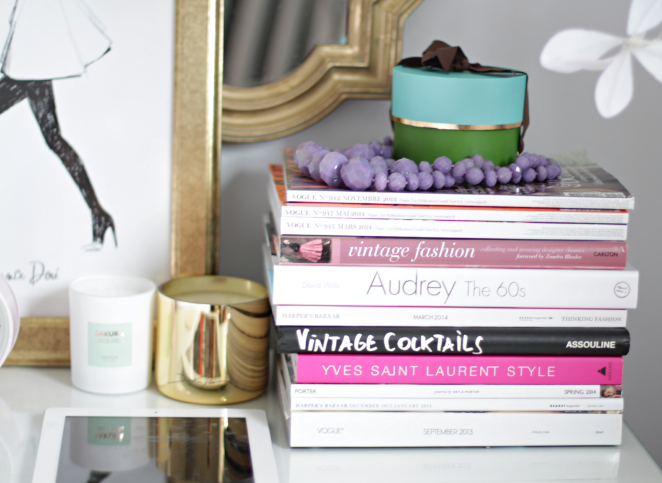 I love your style and I can't wait to get my hands on a few of your incredible prints. Thanks for being such an inspiration. These are really cute pictures! & those chocolate covered oreos- OMG. They look yummy! haha! 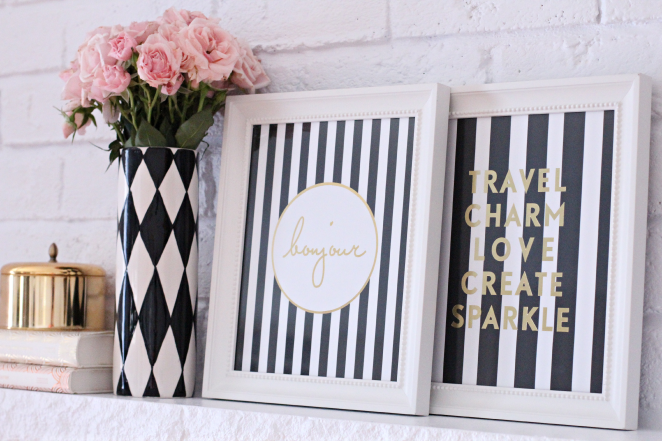 But really love your black and white striped with gold accent decor! Super chic. Love the pics and love that bag! Beautiful chartings Steph! Have a safe trip! 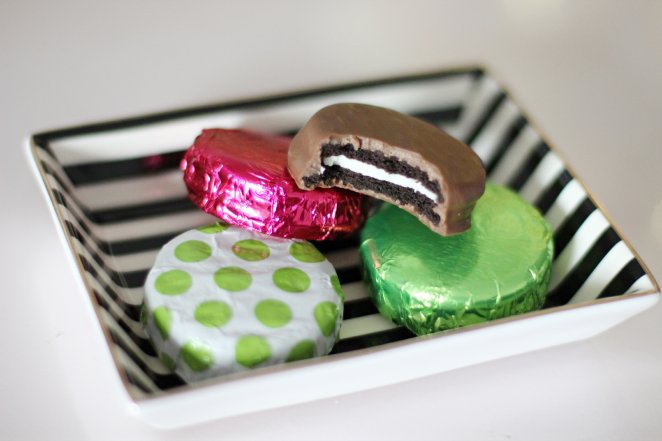 chocolate covered oreos are soooo good! and super easy to make too, i made them to deliver to friends over the christmas holidays! 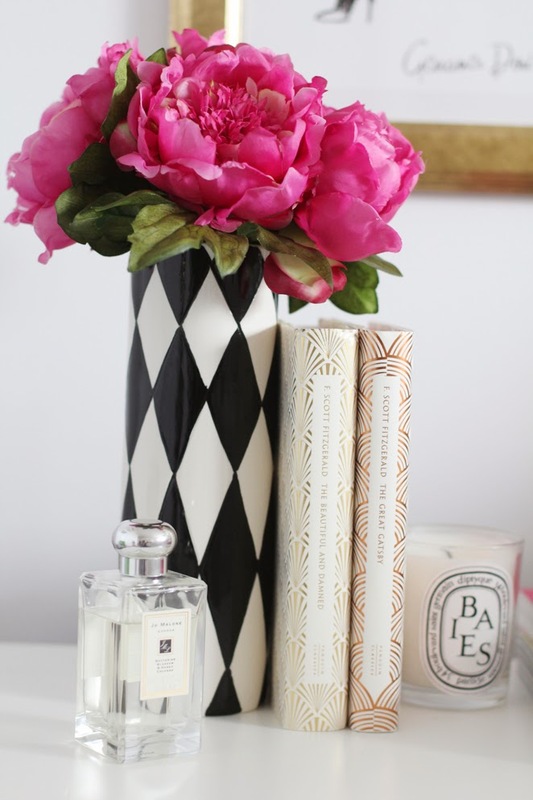 I love rununculus and that black and white vase is amazing! Beautiful shots! That salt lamp is really cool, something I'd never heard of! 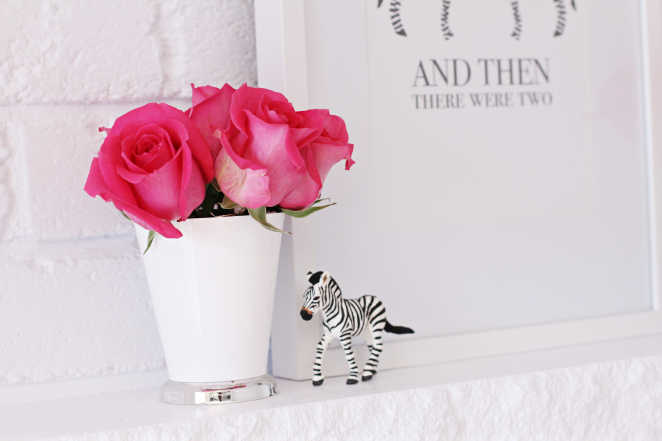 I love the details of your room, i had pinned the black and white striped chair you have and its so great to know where it came from, since then i've discovered your prints and i can't wait to fill my home with them! I love your aesthetic! I love everything! It's so pretty. The photos with the flowers are my favorite. Love that you purchased multiple pairs of the earrings. 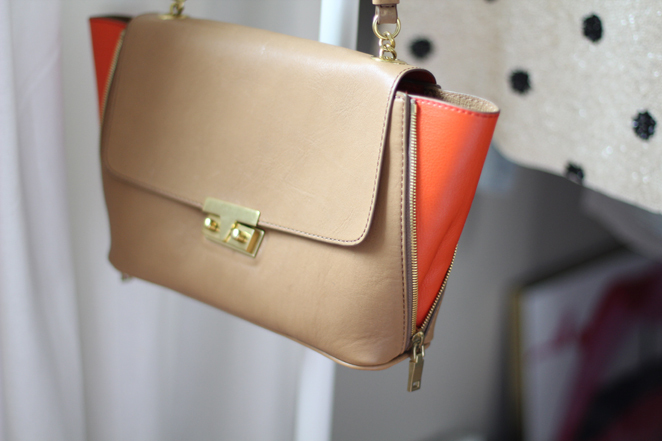 All too often I feel like I am the only one that purchases a duplicate item in a different color! Such beautiful musings, Steph. Those earrings are gorgeous. 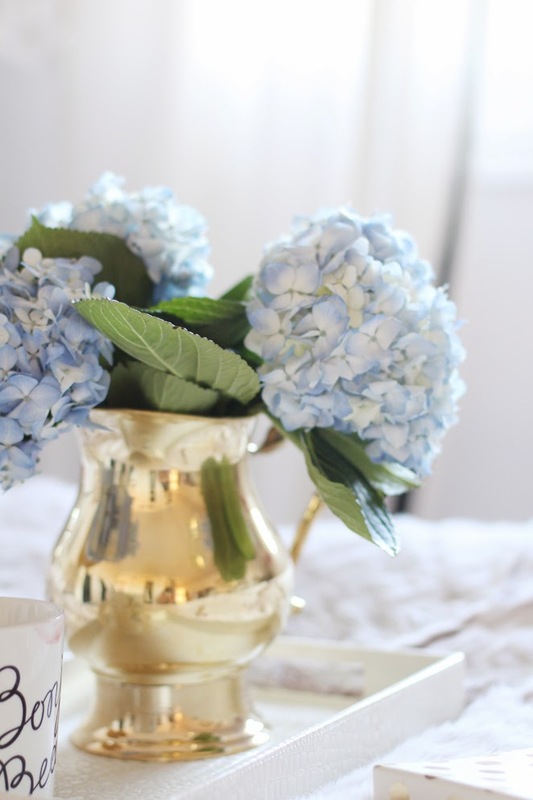 Love these Charmings post, always so many pretty details and beautiful photos! What a perfect way to start my boring be seeing these beautiful snaps! 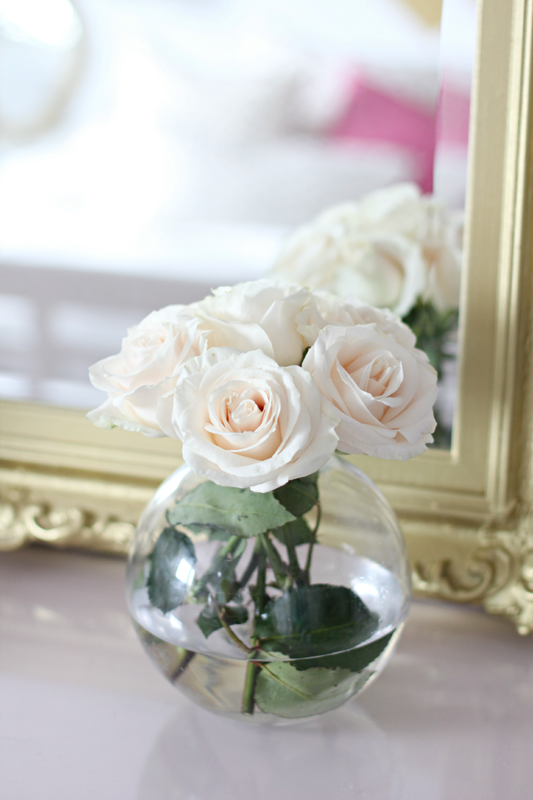 I always love all the fresh flowers you have around! 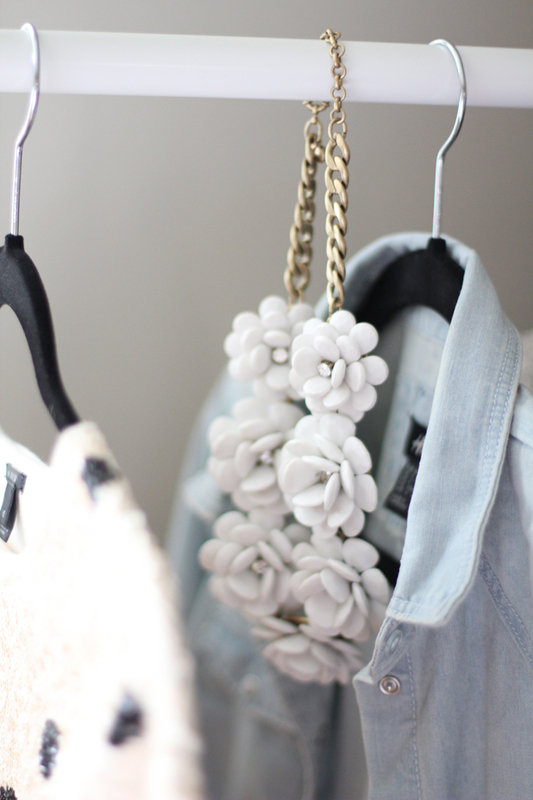 Love this post, and those earrings… I need! 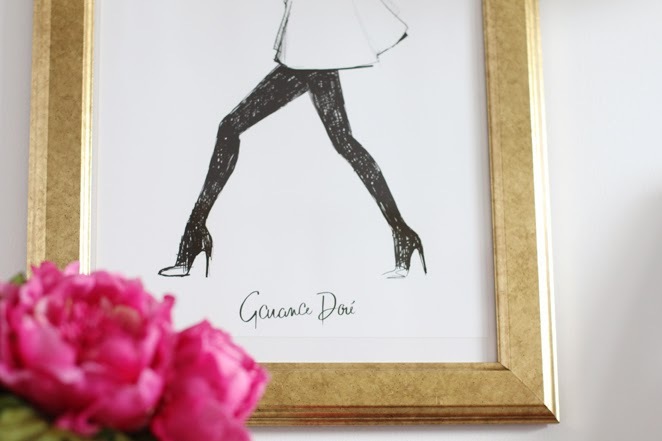 I'm obsessed with that Garance Dore print… such a pretty post Stephanie! Beautiful! 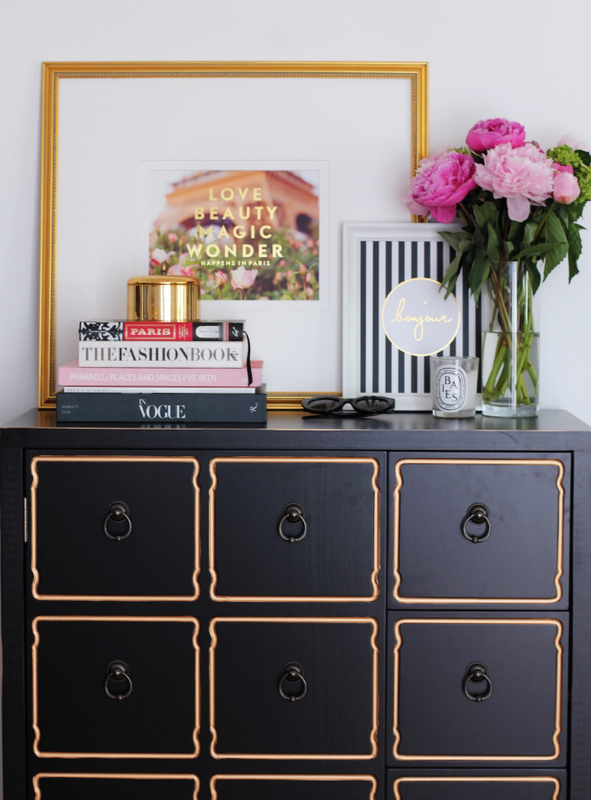 Where are the sconces from next to your bed? Hi! 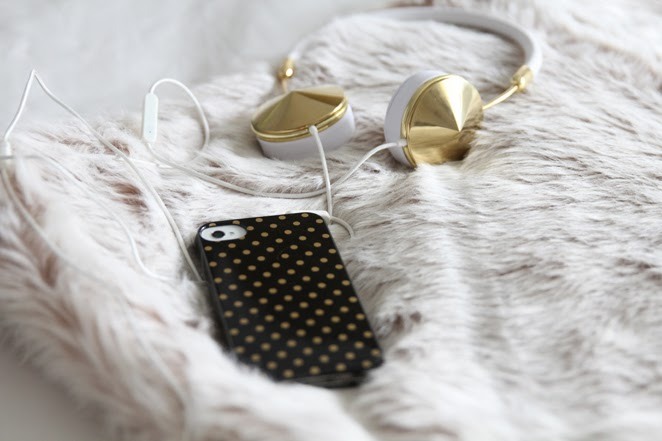 would you mind telling me where are the gold polka dot pillow cases from? New Year’s Day Breakfast in Bed. “Goldie” keeping my jewels warm. 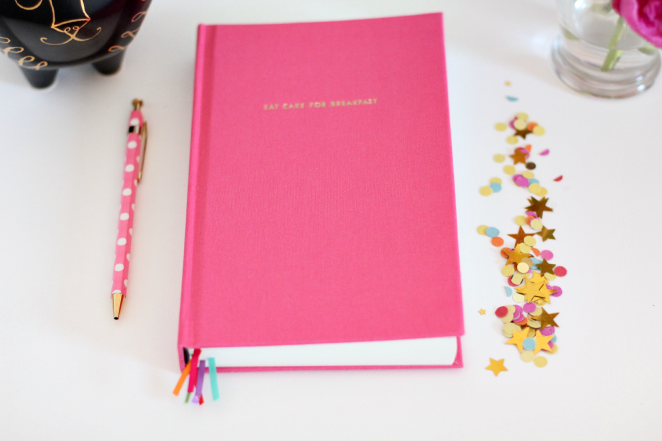 Kate Spade Journal + Anthropologie Pen for jotting down big ideas (with a side of confetti, of course). 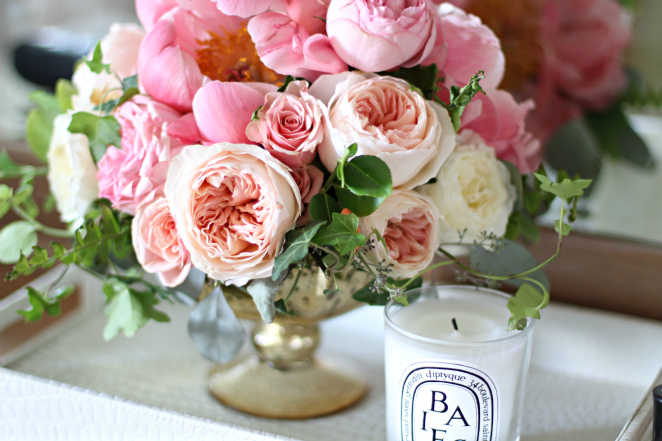 I always love all the fresh beautiful flowers in your Charmings posts! I truly love this series! You can't help but smile when you read it. Thank you for being so inspirational. I have been reading your blog everyday for about a year and it really just starts my day off on the right foot. I hope you have a wonderful day. Oh so pretty, Steph 🙂 I always adore these pretty posts! 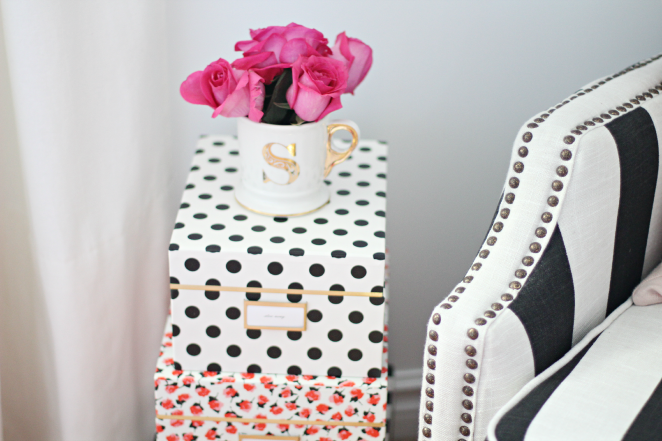 As always, I love all of the little charming details from your home Stephanie. 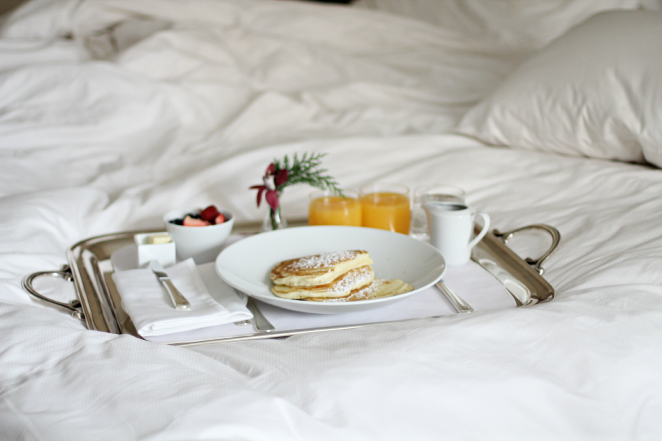 Breakfast in bed looks divine! This post title is just so perfect for all these charming little lovelies! 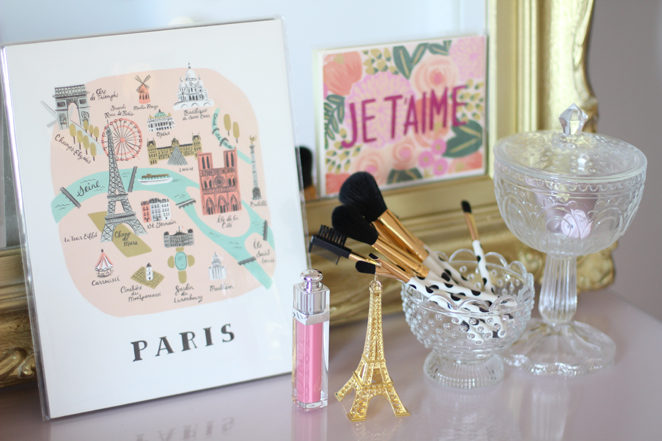 We definitely have an affinity for similar things�I too have the F21 gold hairbrush, J. Crew chain link pave bracelet and rose necklace. Love them! Where did you get the pink polka dot pen? I checked the anthro website it didn't turn up. Thanks for making the world an even more beautiful place! I love the jewelry hanging on "Goldie"!! 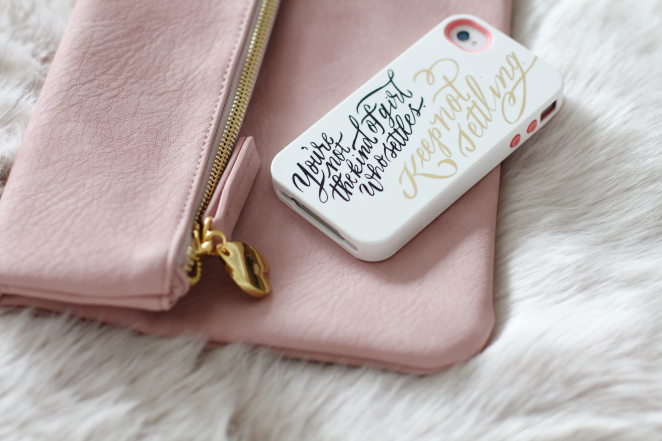 I love, love that phone case and the KS Journal! So adorable! 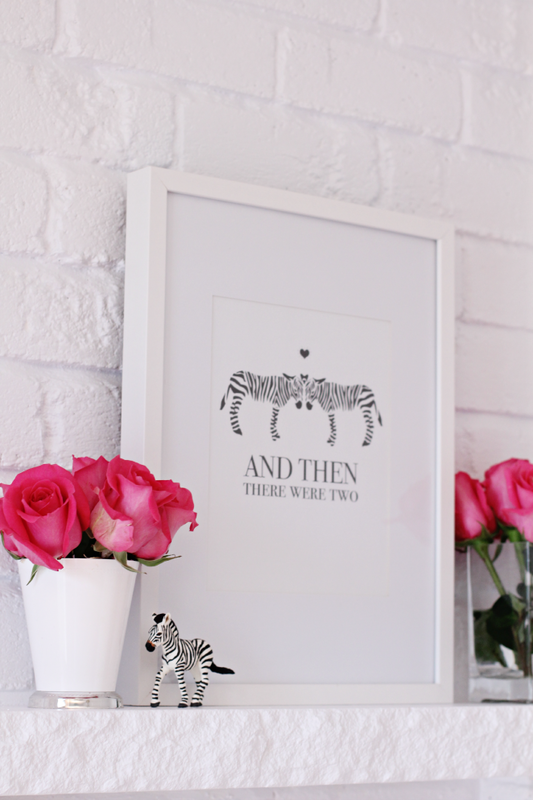 In love with our new Zebra prints in the shop! 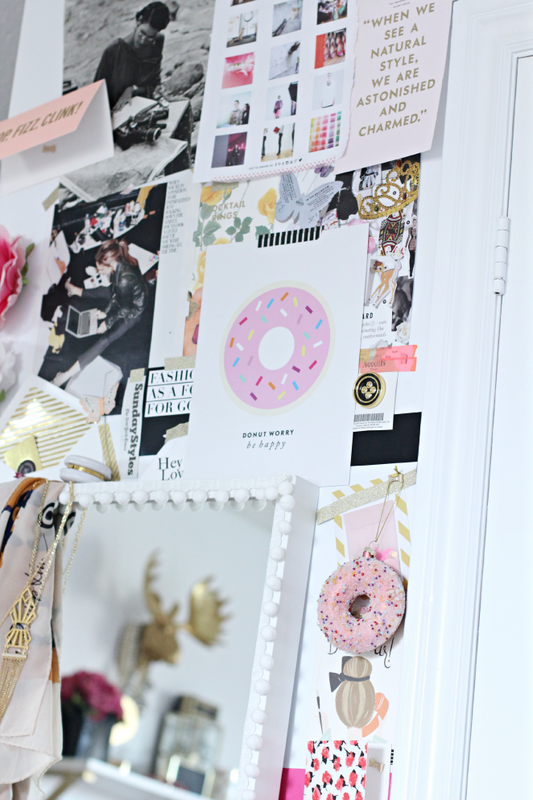 Glitter Guide x SS Print Shop “Donut Worry” Print on my vision board that inspires me every morning. Leftover’s from a fun shoot! 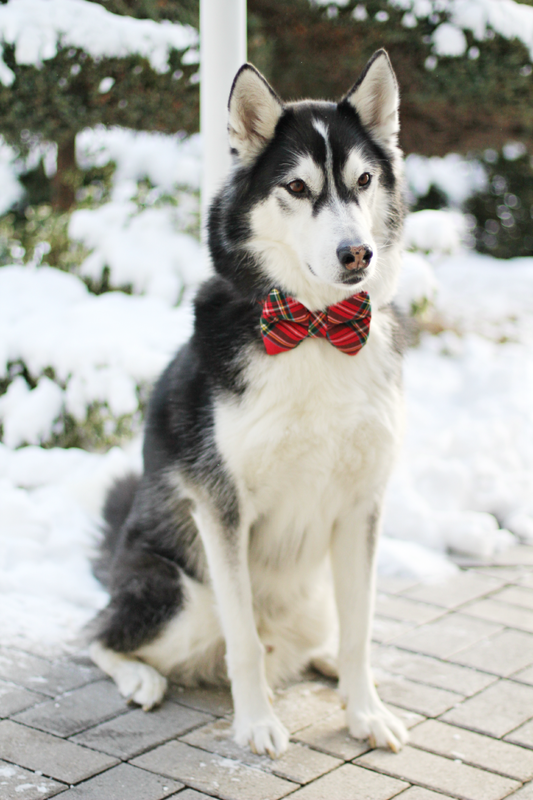 Bandit in a bowtie. Quite possibly the best thing ever. 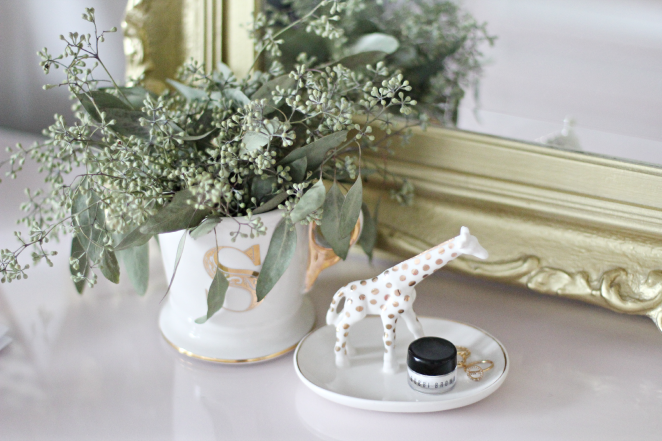 Eucalyptus seed flower in a gold monogram mug from Anthropologie, to match my little giraffe. Those boxes are so pretty! I always love your charmings posts. Your Charming posts always leave me smiling! 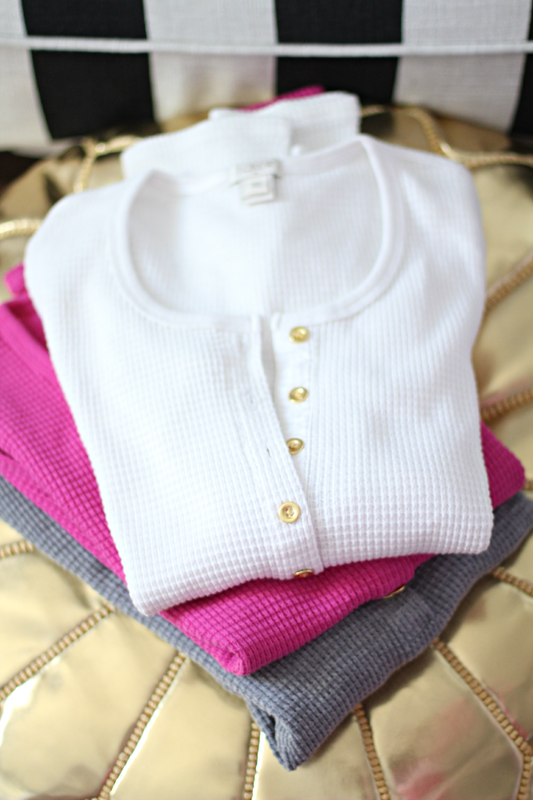 Thanks for posting about those thermals, they look perfect for layering and I get so cold this time of year! 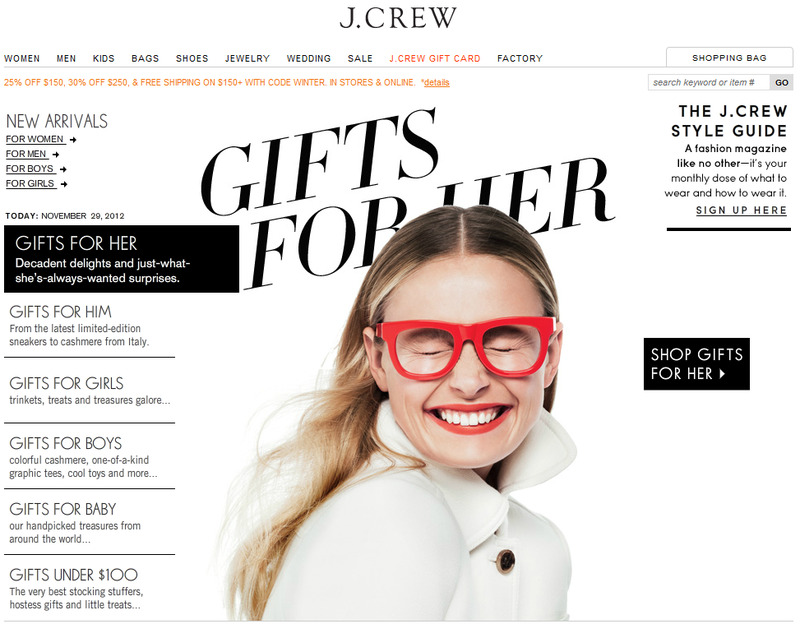 RetroSuperFuture Glasses a la Jenna Lyons / J.Crew, remember this? Your charmings posts are some of my favourite! Love all the gold! 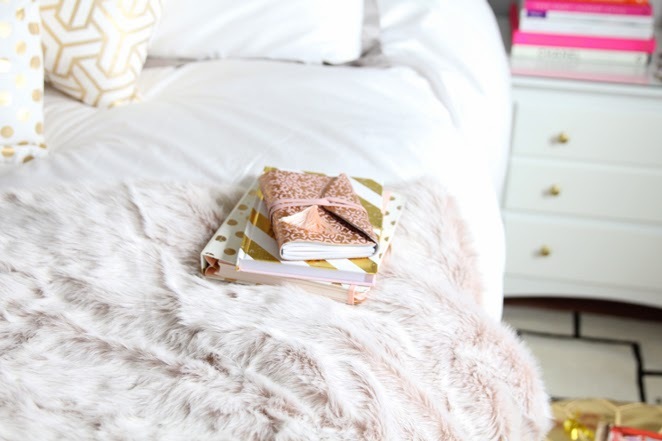 Oooo that blush pink blanket looks heavenly!! 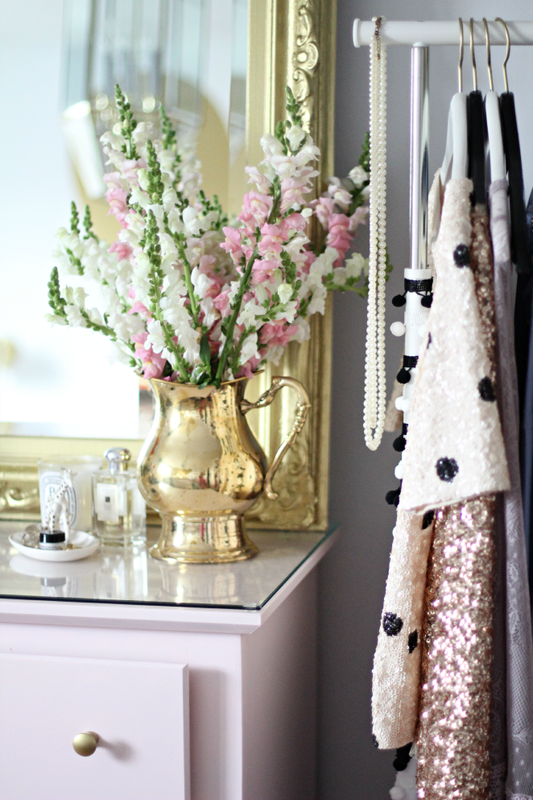 I always adore these chartings posts, everything is always so pretty! 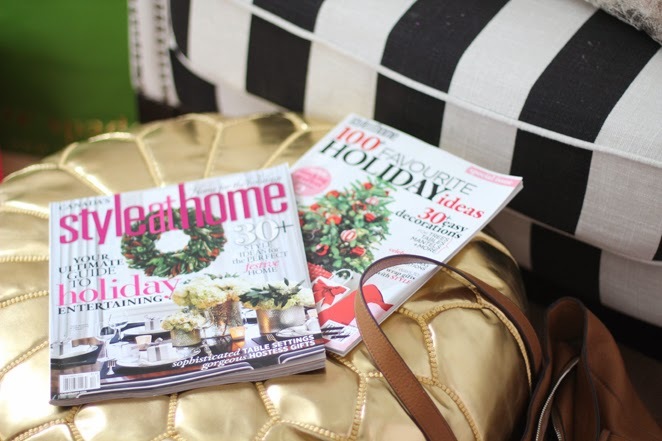 I just found your blog and I absolutely love the mix of fashion and home decor. 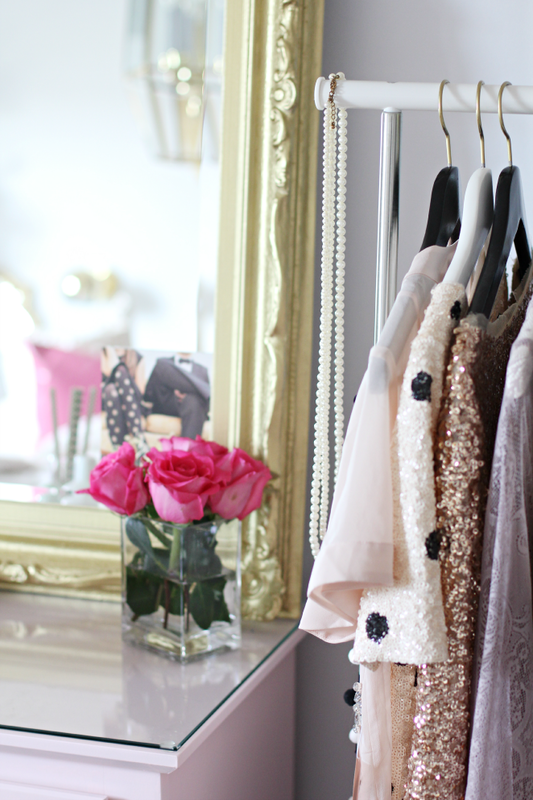 Your style is so chic! 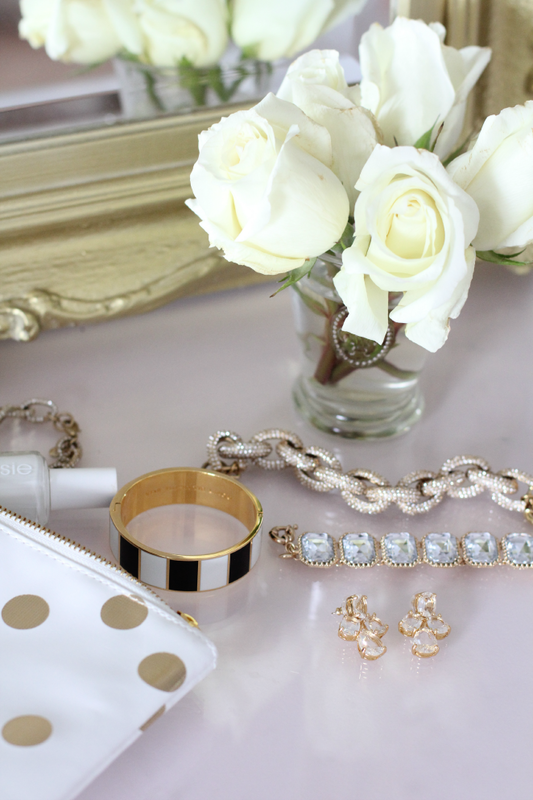 So much gold and sparkle = love. 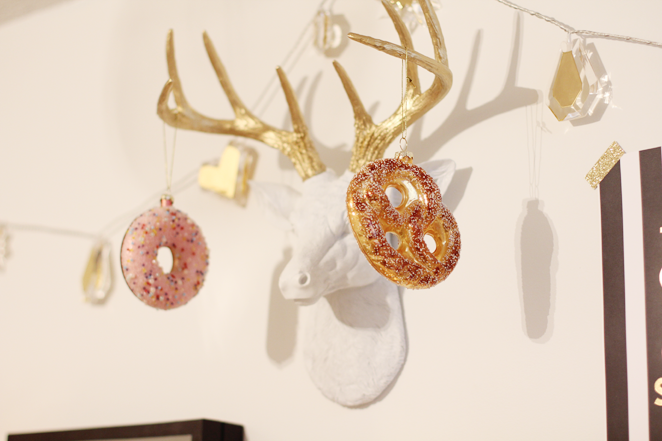 love the taxidermy with the "edible" ornaments! 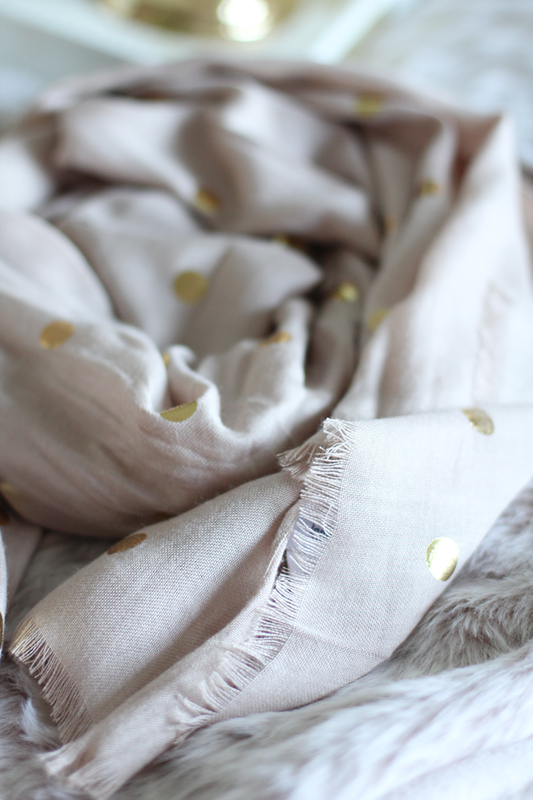 I am obsessed with that gold polka dot scarf, I have a huge collection but there's always room for one more! 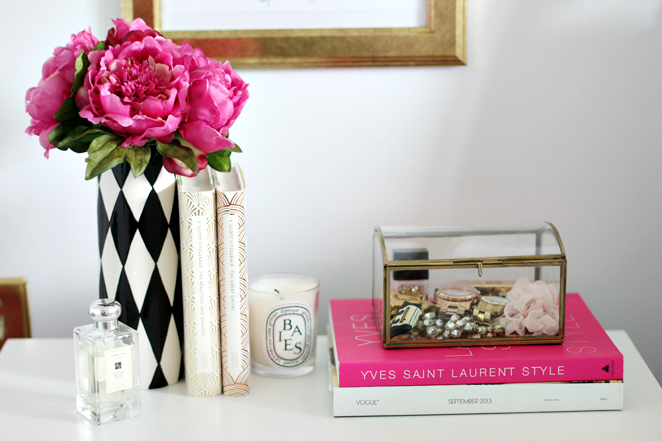 So excited for your room tour on The Everygirl! your charmings ALWAYS make me smile. you have such impeccable taste stephanie! 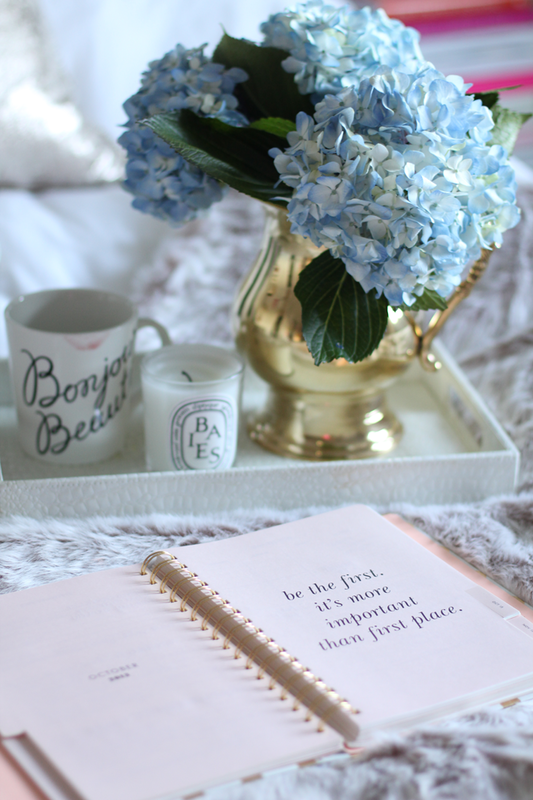 I love that Paris print and your beautiful hydrangeas. Your charmings posts are always my favorite! 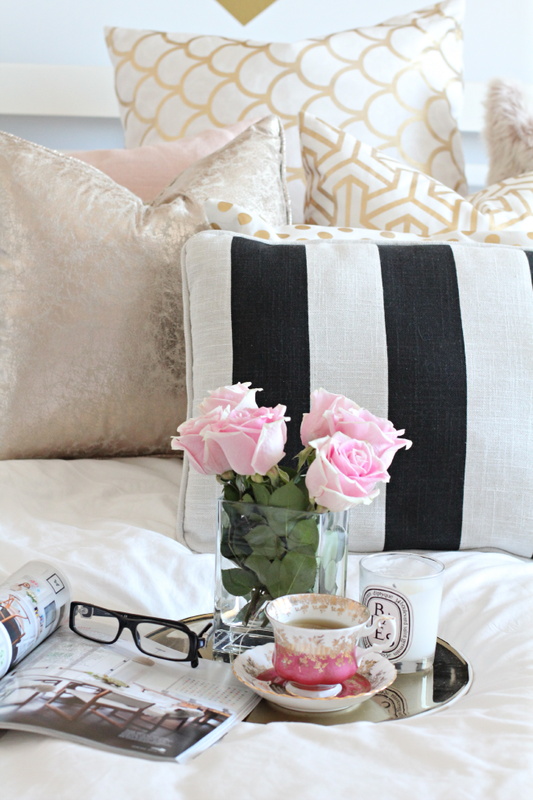 I love the Chapters home line too, my husband says "enough pillows!" I say I can never have too many pillows haha. 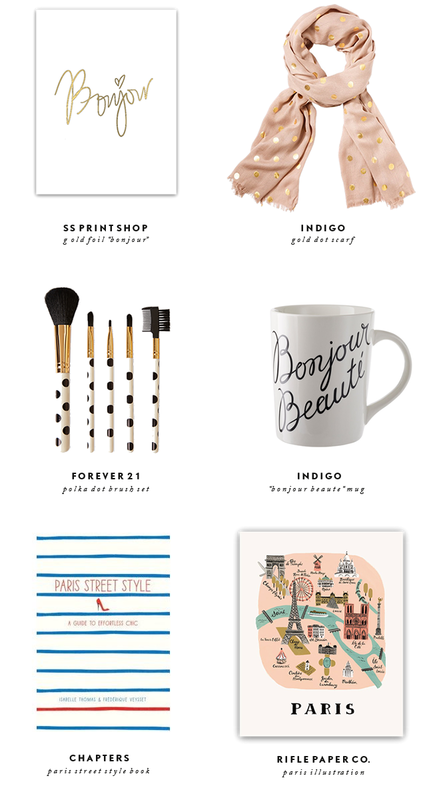 I love your Bonjour print too, I think I might just have to get it. Ordered my first print from you last night for my office. Can't wait to get it! 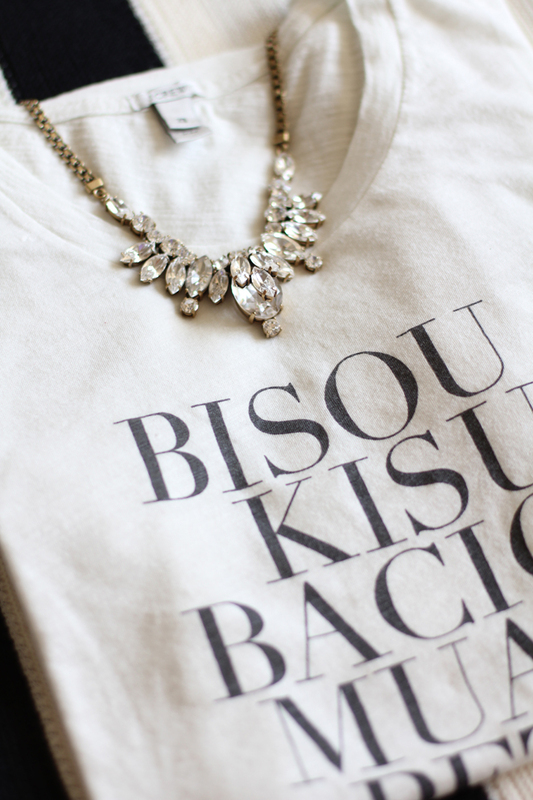 Dipping in to the new J.Crew collections with this necklace and graphic tee. 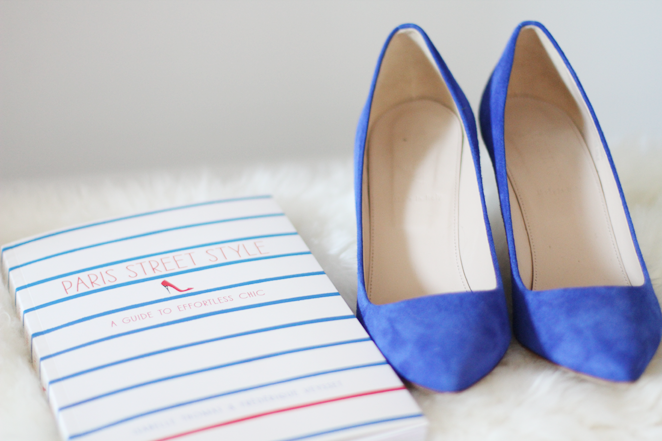 Fun Steve Madden loafers that are just perfect for Fall! 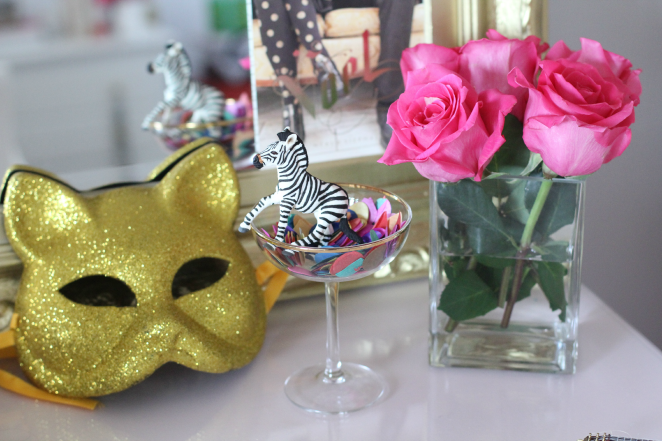 Getting excited for my upcoming trip to New York for Fashion Week with a little Kate Spade & Betsey! 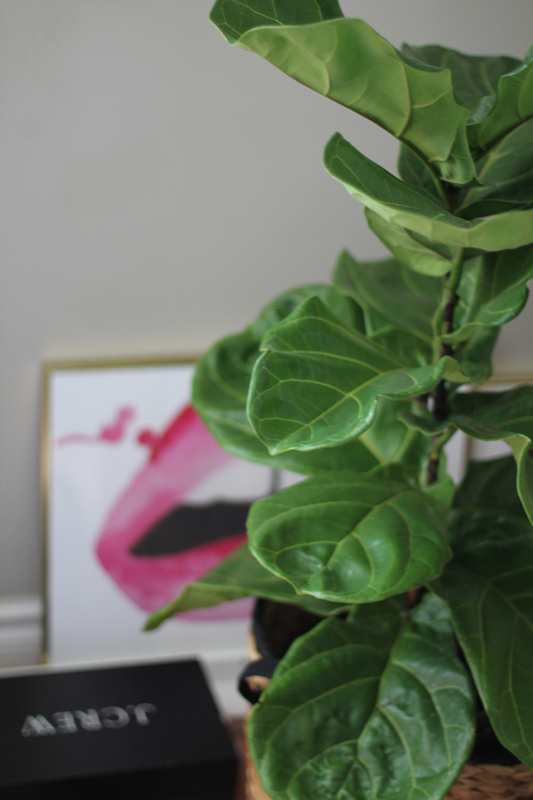 My sweet little fiddle leaf fig from IKEA (of all places!) + my room under reno! 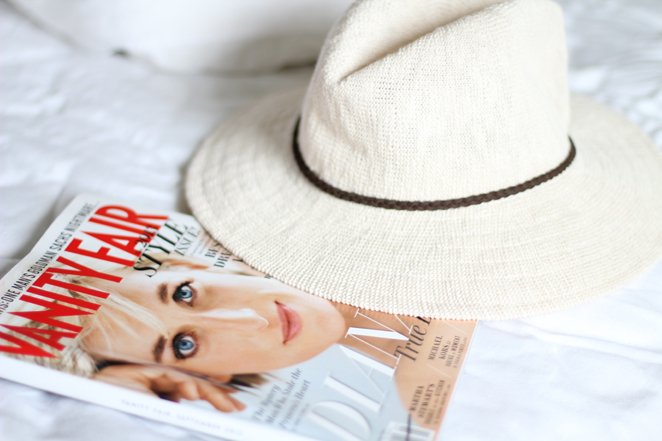 Getting a little sun with Lady Di, in this hat. 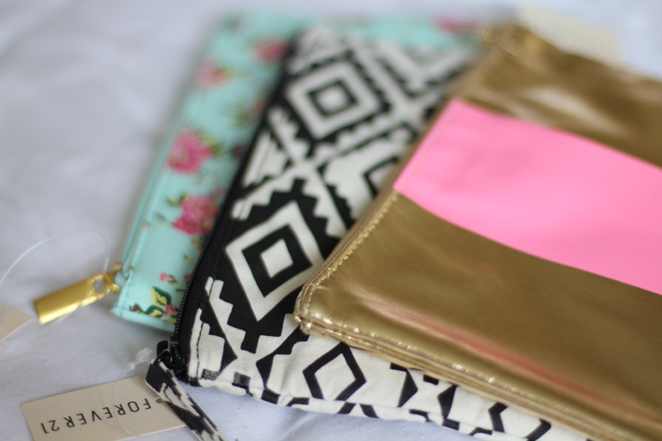 Cute pouches from Forever 21 I use to separate my essentials in my bag. 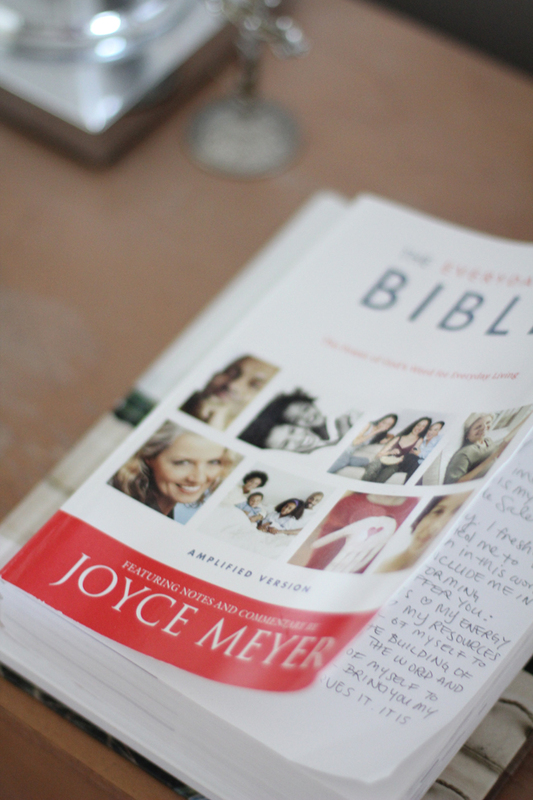 Picked up this Bible to help me simplify the messages God intended for us to guide our lives (in love). 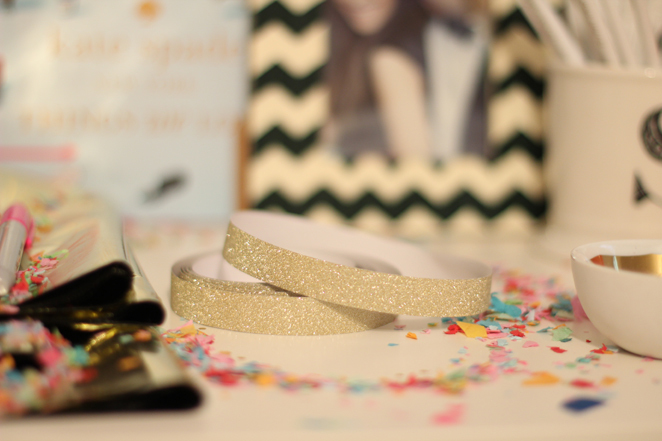 Glitter tape in the studio? Yes Please! Loving those loafers and can't wait to see you style them up! Your chartings posts are my favourite, there is just so much cuteness in one post! 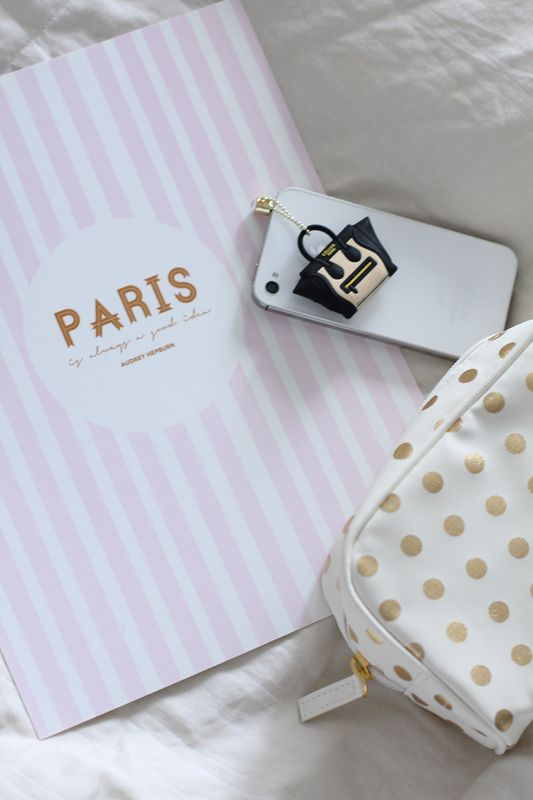 I love the F21 pouches for in my bags too! My best friend gave me the same pink & gold one! what a lovely post! love all the photos! Beautiful details (as always) and a great way to start my day! Thanks for sharing! This is the perfect mid-week pick me up, Steph! 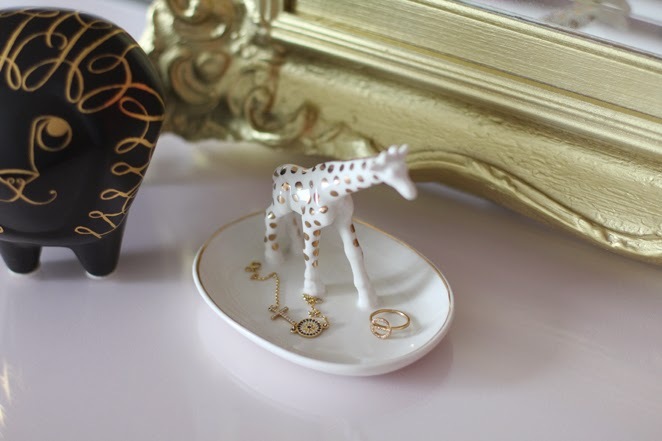 So many adorable, cute, stylish and pretty things in one place…Charmings is definitely my favorite feature on your blog! I'm loving all of the J Crew here Stephanie! That graphic tee is too cute to pass up. is the necklace recent from jcrew? the link doesn't take you straight to the necklace. thanks! Love this nars red lipstick! 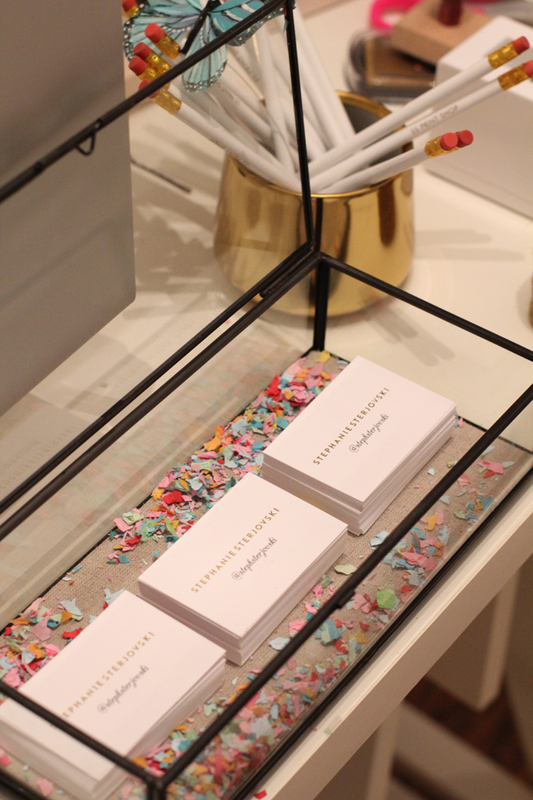 LOVE your business cards. So simple and clean! 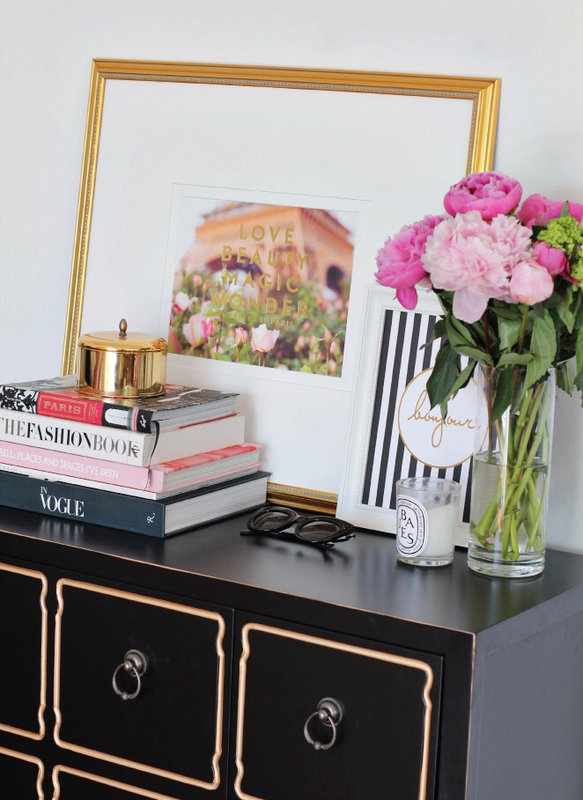 I have been in hustle-mode ever since we launched Stop and Smell the Peonies, while taking care of other orders, designs, working on my Blog Podium presentation and an exciting business project. It’s hard to be a one-woman show sometimes, thankfully my friends and family are so helpful and supportive. 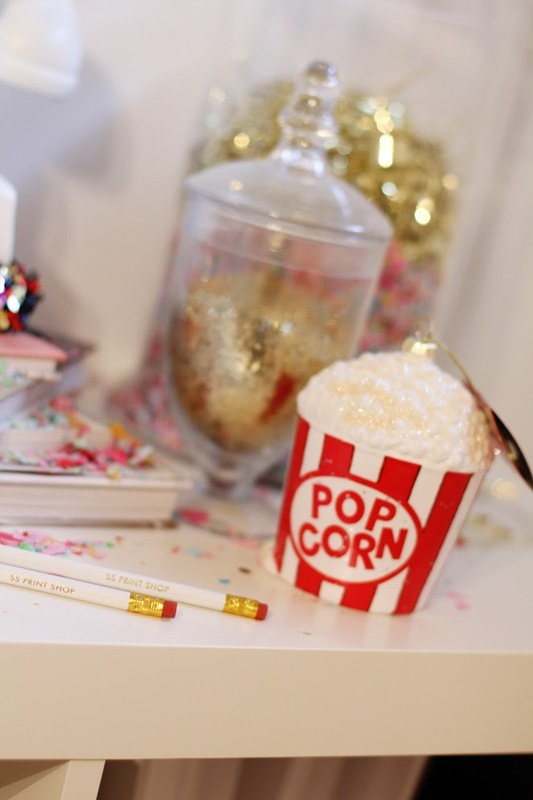 I’m plotting up some fun posts to go up in the month of August (which is particularly my favourite month because it is birthday month around here! ..my papa, puppy and I are all August babies). Hope everyone has a lovely weekend, I’ll be choosing to spend most of mine outdoors since the summer season is going by far too quickly. The flower arrangement is absolutely delightful. 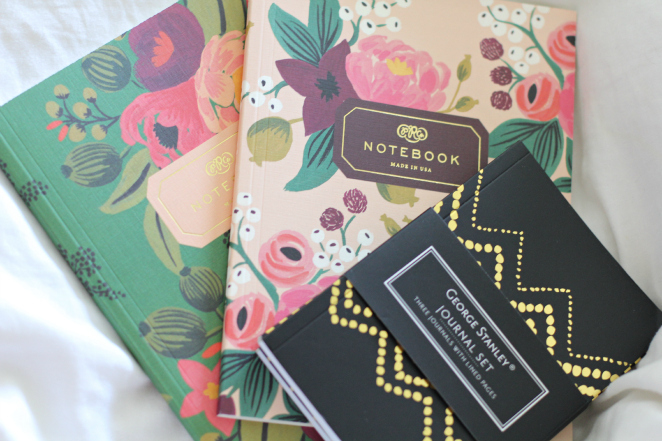 I love Rifle Paper Co! Their notebooks are adorable. We're twins on our notebooks. Love those stunning blooms! Eeeek! what fun pictures! 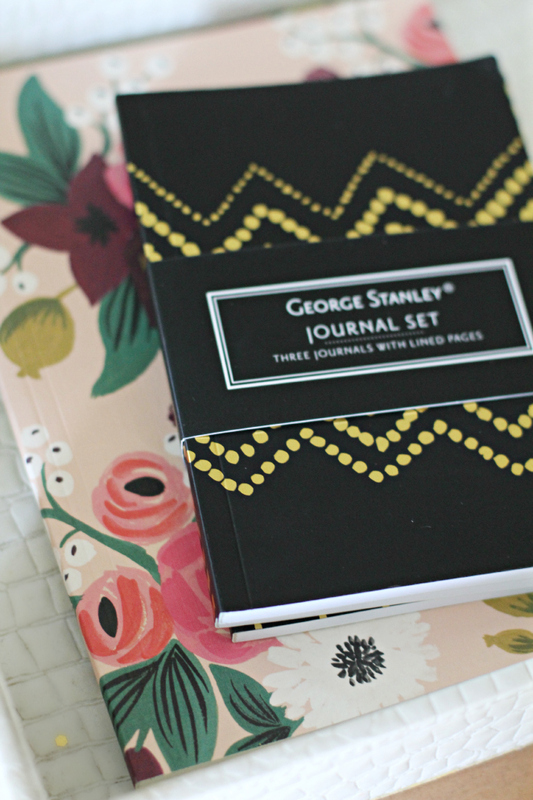 those journals are darling! and I bet those flowers smell so good! 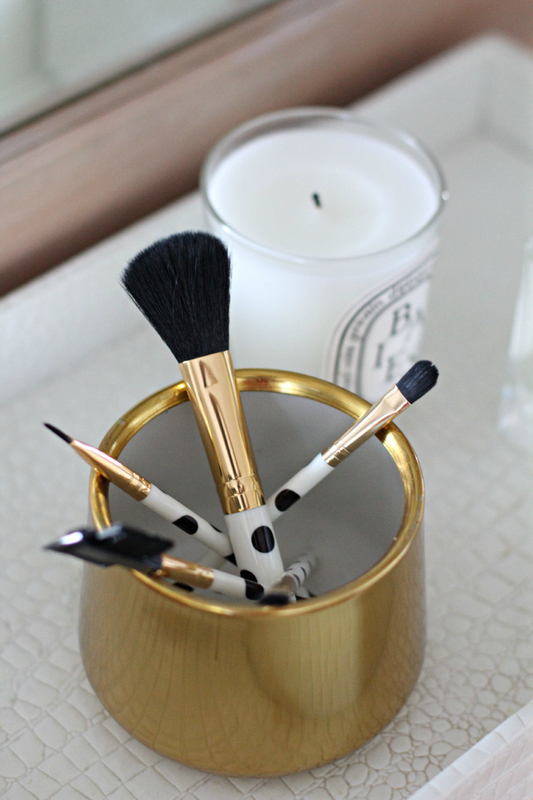 I need the polka dotted makeup brushes!!! so cute. 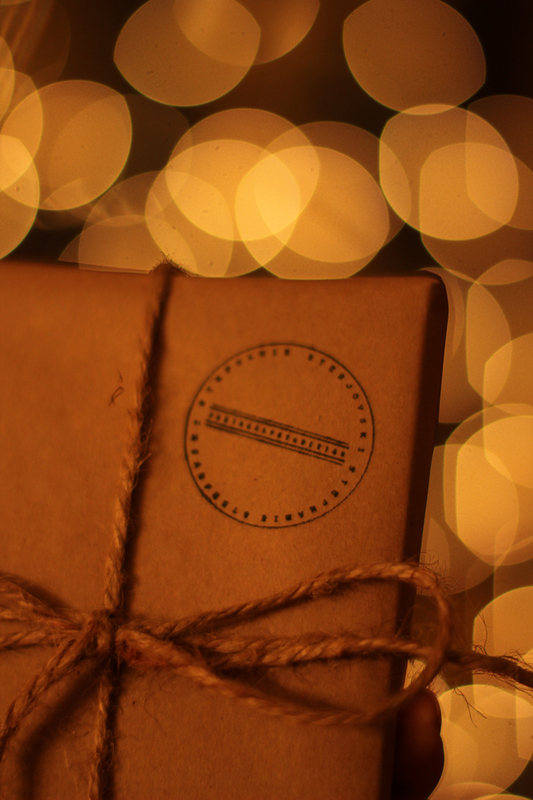 I love Rifle Paper Co. Such a fun roundup! 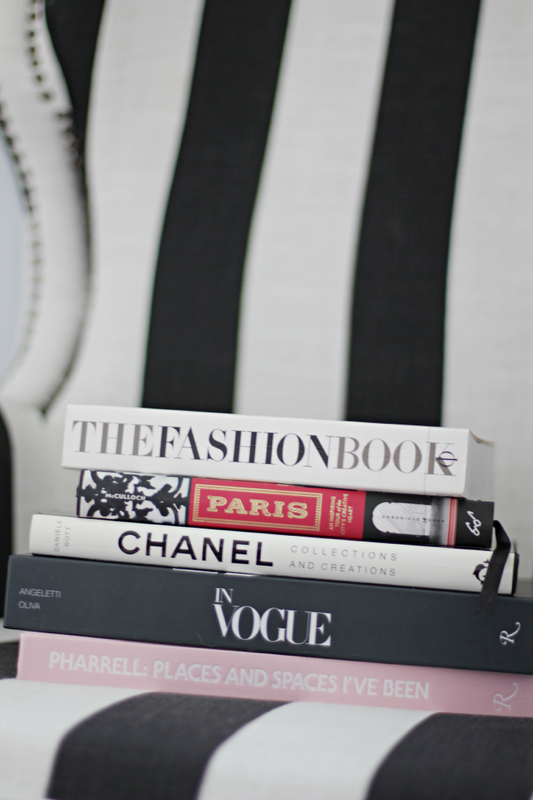 I love those notebooks. I always use Rifle Paper co. journals for my daily devotions. I hope you have a great weekend Stephanie! I always love your chartings posts, they photography is always beautiful! Delicious macarons from Nadege Patisserie in Toronto, that carries parisian sweets. 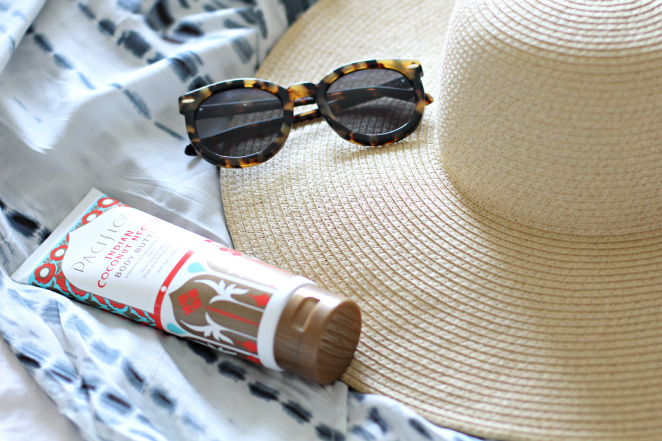 My favourite eye cream of the moment from Benefit – perfect for a 20-something. This look was featured on Fashion Magazine’s Style Panel , discussing festival fashion. for the week easy. She stresses on the importance of clean eating and I couldn’t agree more with her findings. I’ll be sharing some of my favourite recipes from here that I cook up soon! 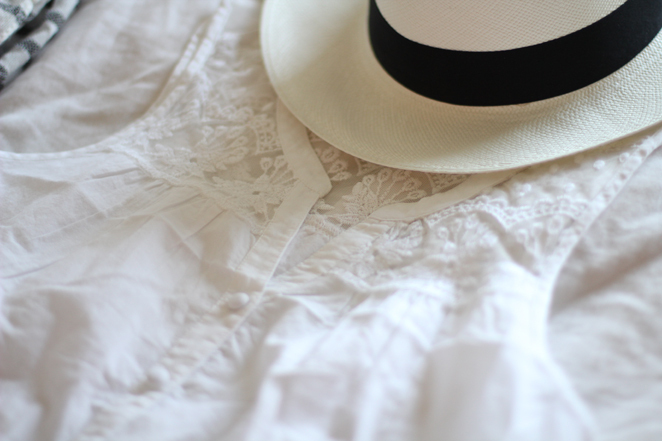 Light & Airy pieces for summer. 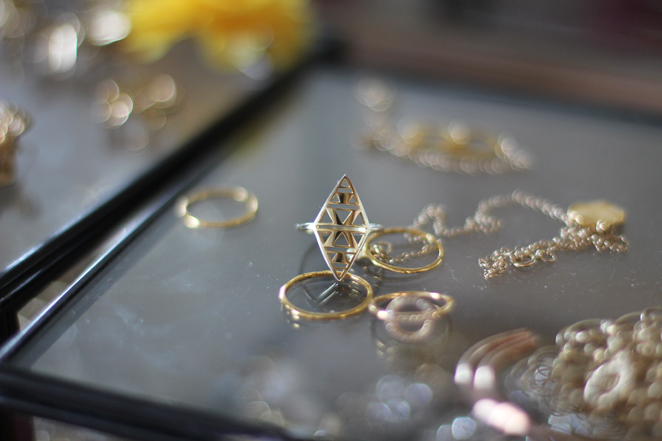 Gorjana Griffin Jewels have been my go-to as of late. such a great issue), I could not have been more proud of her! 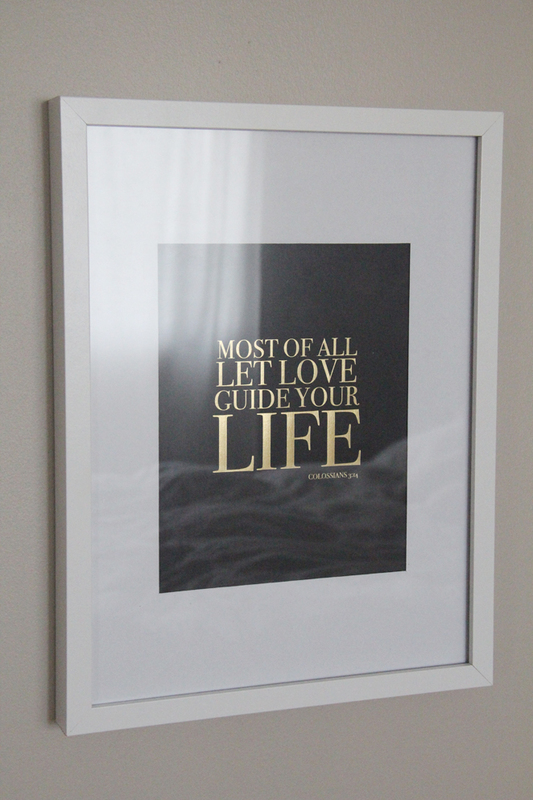 Our LOVE print made the article as well! Love everything about this post! 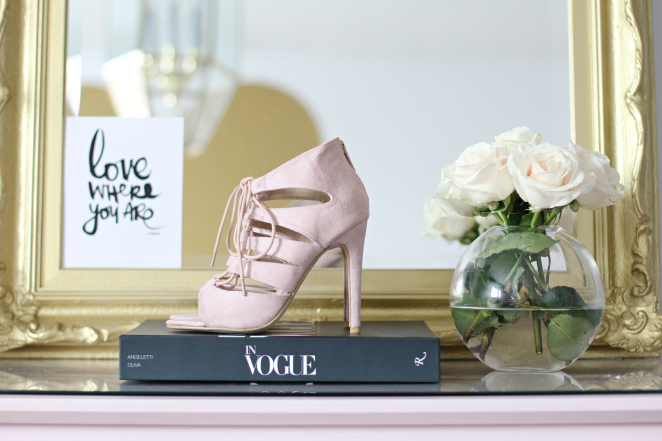 Loved your feature over on Style Panel and congrats on the mention in Rue! Michaela is the sweetest. ps. I got the pineapple bag! Too excited about it. cute pictures! 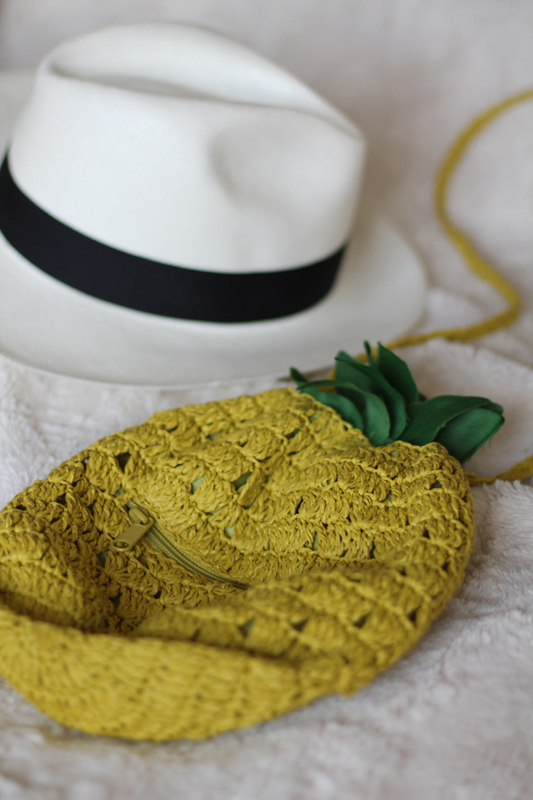 love that pineapple bag! so fun! Love this post Stephanie! You look so cute and ready for Summer. 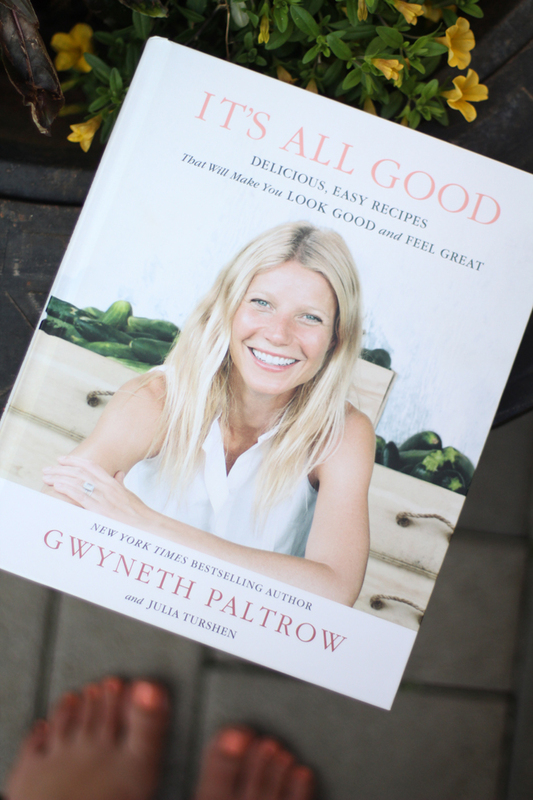 There are so many things I love about this post – macarons, your pineapple bag, Michaela in Rue Magazine and Gwyneth's book! I have her older one (made dinner from it tonight) and this one is on my birthday wish list! 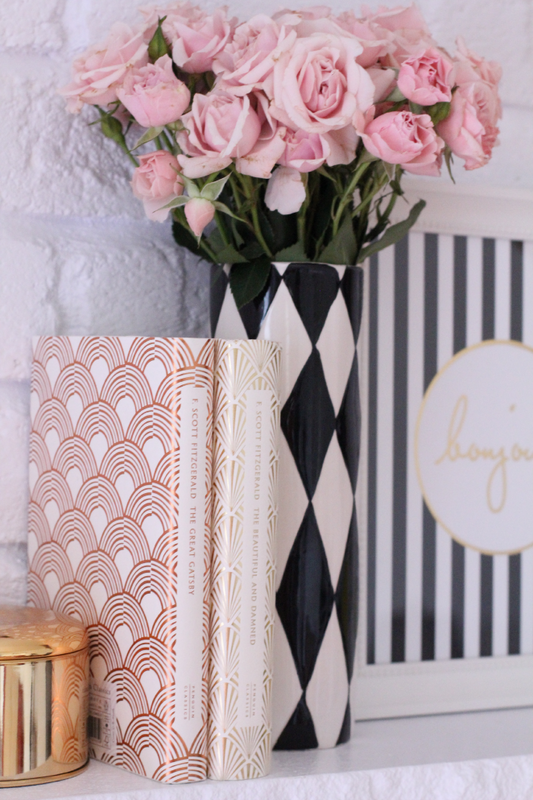 Tales from my office: black, white & gold is just so classic. Excited to be launching the Black & White Series soon for SS Print Shop (sharing sneak peeks on IG). You can bet your bottom that Timberlake has been on repeat around here. I naturally appreciate the gold foiling done on his album/vinyl cover! Perfection. 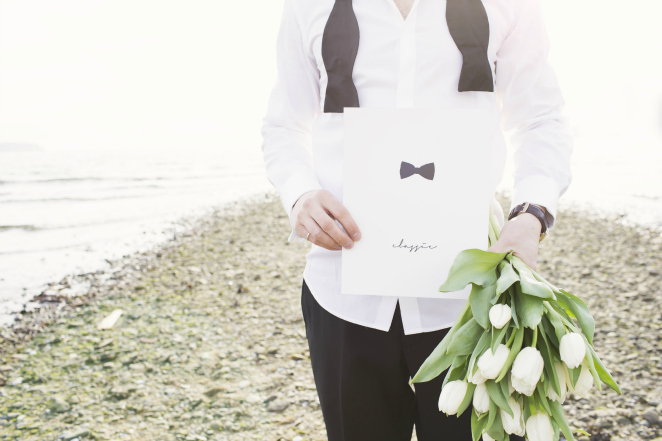 Our “Classic” print celebrates Suit & Tie quite perfectly, as seen here with Monika’s hubby during their maternity shoot. 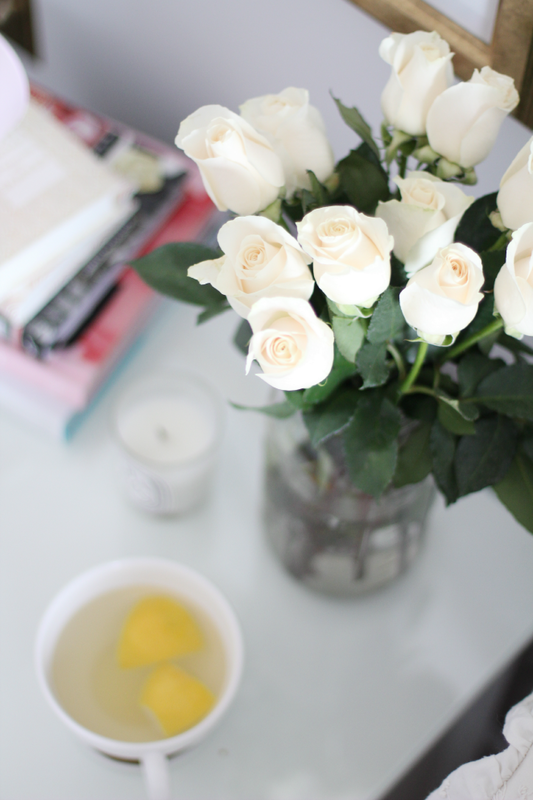 Fact: This ranunculus bunch cost $5, it brings me sunshine. 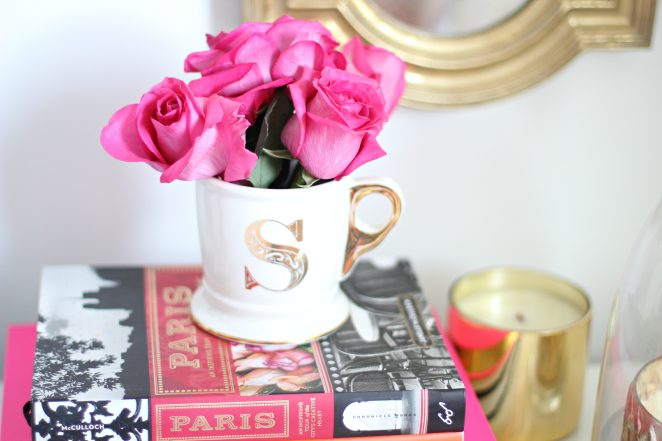 Which I adore styled in this mug too. 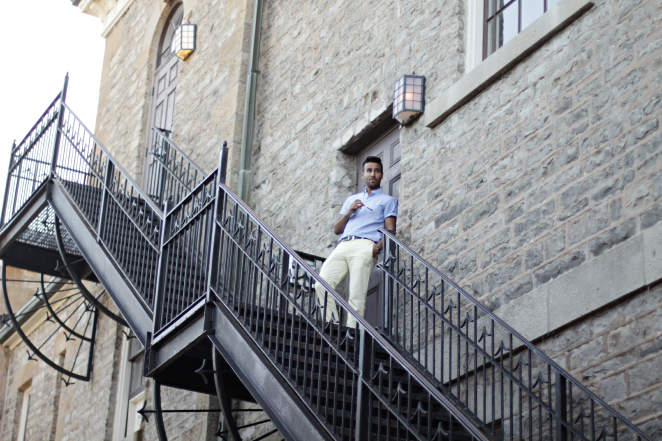 Shot this backstage at Day 1 of Toronto Fashion Week & I am back at the tents today! You can view more of my work over on The Kit here & here. 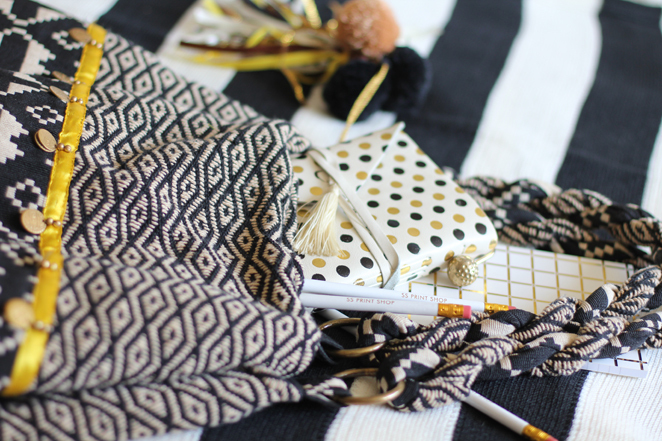 Love this post, I need more black, white & gold in my life! I look forward to reading your blog everyday, love your content! I love Justin Timberlake and I adore all the black, white and gold in this post! Can we just be BFFs already?! I love your picks this week. I'm super excited to listen to Justin's new album and I'm loving the flowers and sneak peek of your black & white collection! I'm so excited! 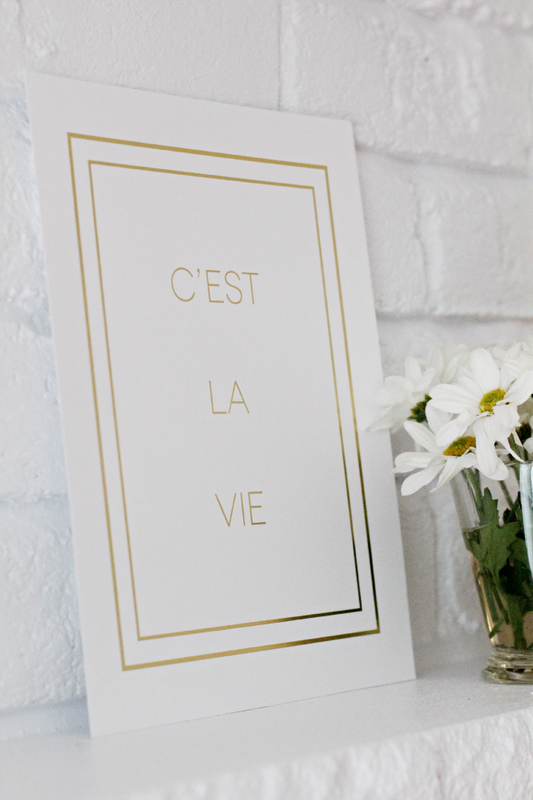 I have a few more prints to order for my new office (which is being designed right now) – this is perfect. Can't wait! 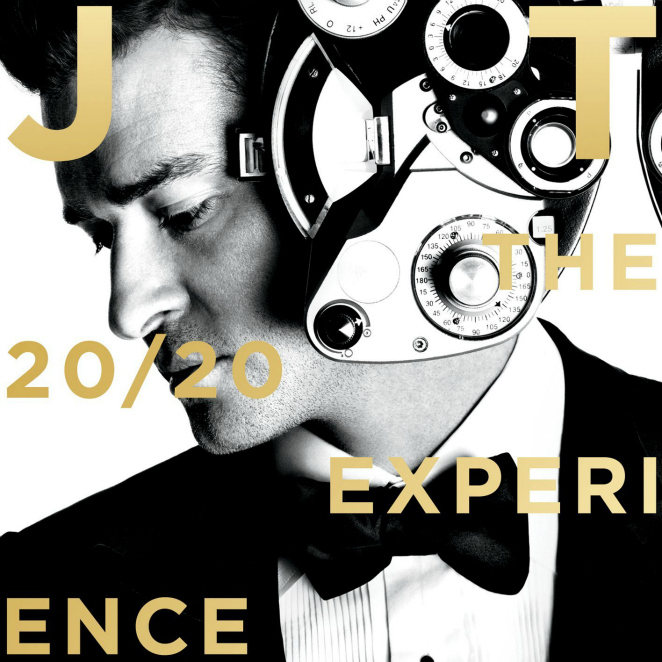 The JT album is so great. So happy I treated myself to it this week. Lovely, lovely photos friend! Lovely images and a great way to go into the weekend. You better believe the Justin album is on repeat over here as well! Miss Steph, you always have the most gorgeous photos! I've also heard such good things about the new JT album! Displaying my confetti in a mini apothecary jar always makes me happy when I glance over at it. Pampering myself to an ombre manicure. feeling bold, i’ll pair them with these sandals, a white tee & this hat. Hello, Spring! 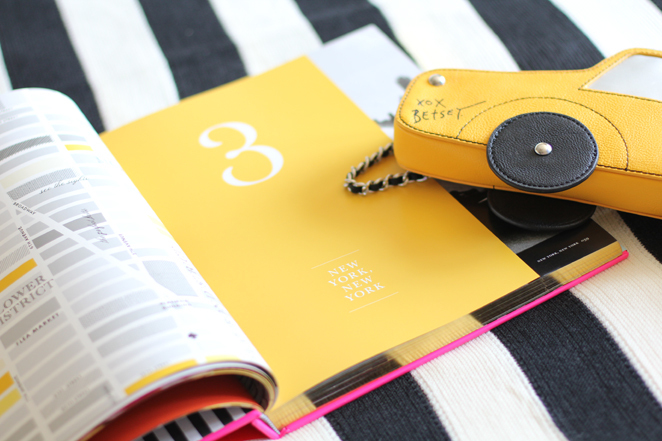 Flipping through the fun pages of my Kate Spade agenda, makes scheduling my favourite time of day. I love the confetti in the jar! Very colorful and pretty! So fun. 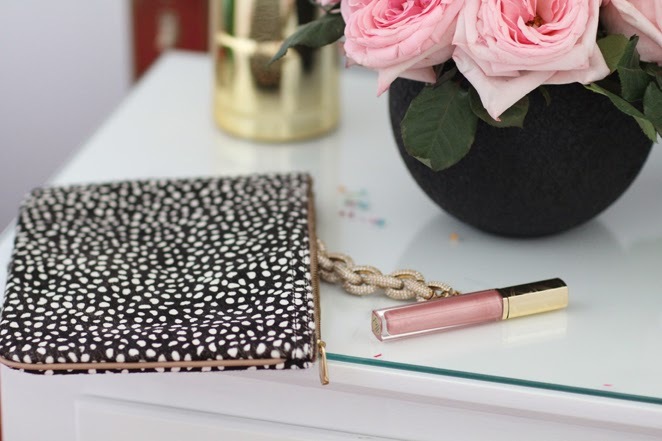 Love that Kate Spade agenda! 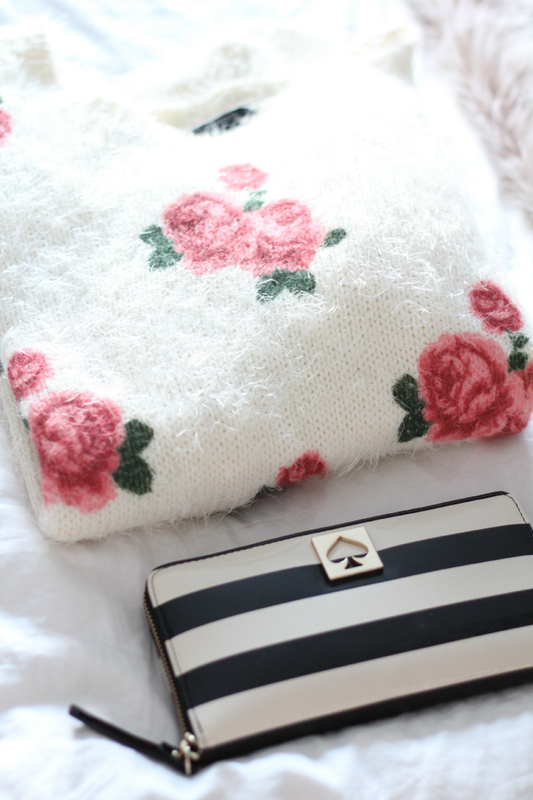 These are very charming items! 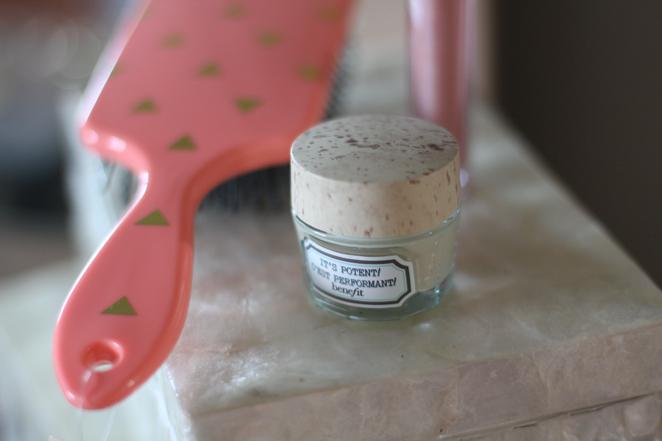 I love the mini apothecary jar – I have been looking for some of my own! Happy Friday! I love that you keep a little confetti around, that seems so fun! Great picks. I really like your Kate Spade agenda. I wonder what the other pages look like. I really want to check out the store in Yorkdale. 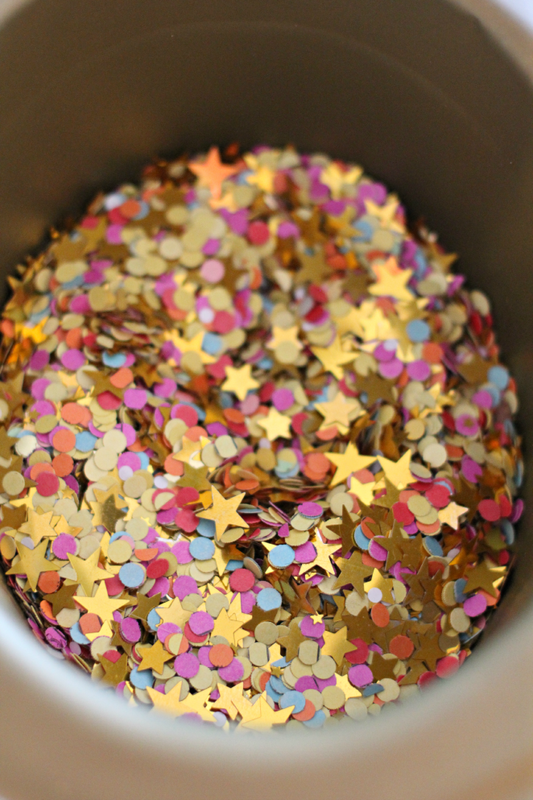 The confetti in a jar is the greatest. Obviously practical for you since you use it for packaging but simultaneously whimsical! Gorgeous photos. 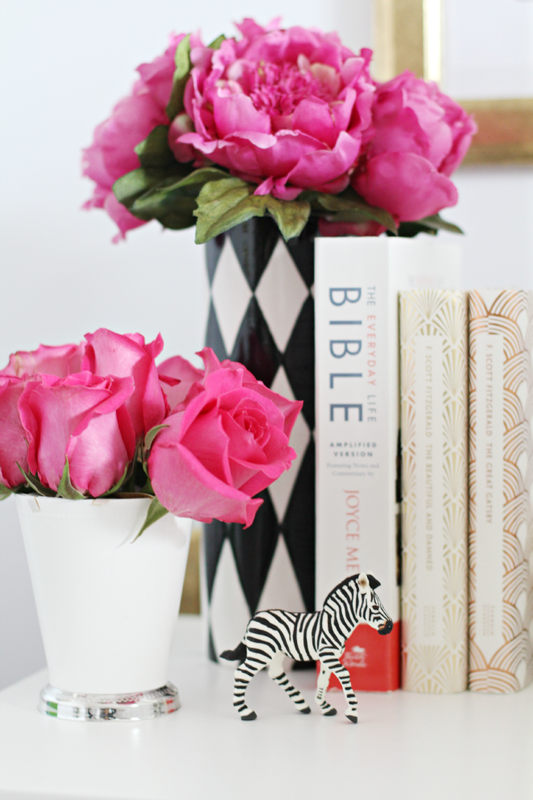 A few charmed little pieces around my place, and things I am loving this moment. First up, this monogram Anthropologie cup, not sure yet if I should use it for actual drinking purposes. 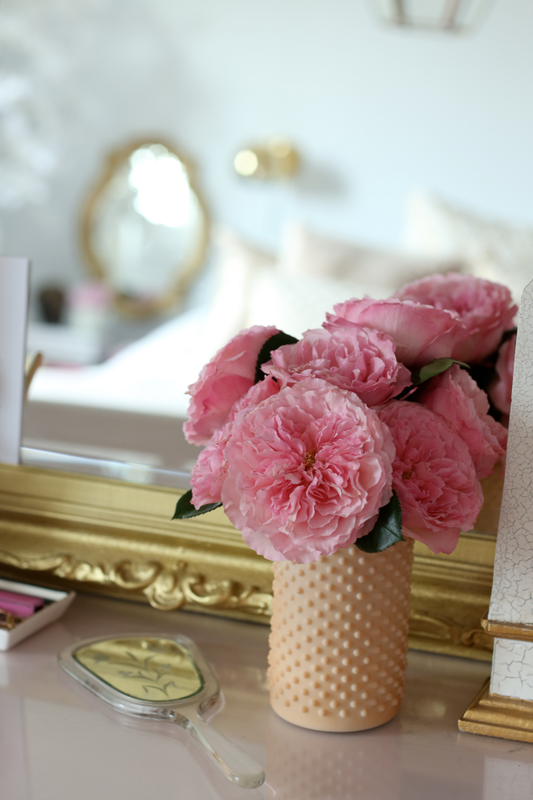 It could also be a cute place to store pens, markers etc., or flowers! Golden details: I love me some gold sharpies! White Hydrangeas from the local market. 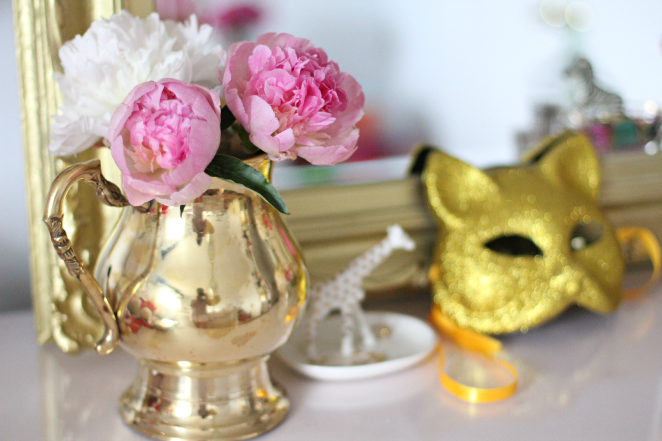 Gold Anthropologie bowls found in the sale bin! Totally made my day. 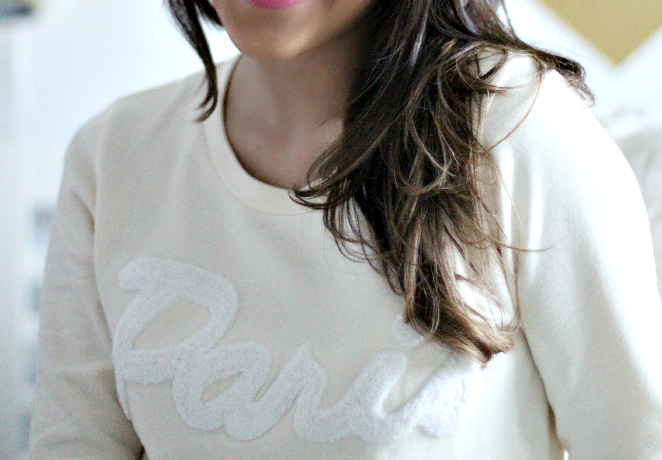 Cheap thrills at Forever 21, I love this peachy keen, cozy knit, seen here. 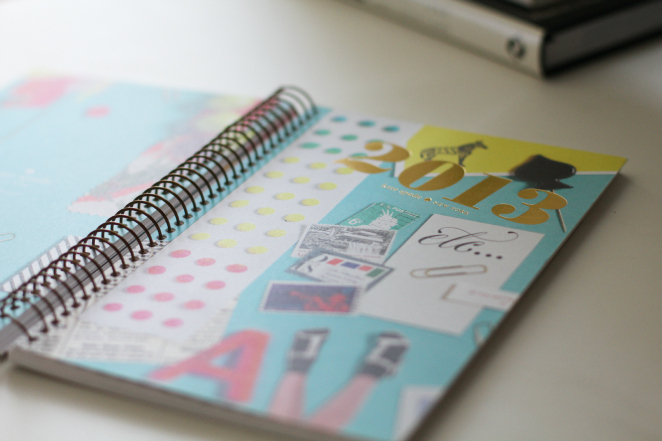 My new 2013 agenda that I picked up at the KSNY launch party in Toronto on Tuesday. 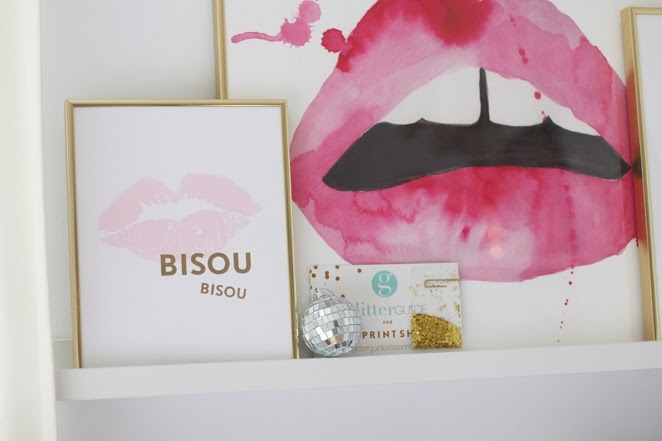 I love your new 'classic' print, def adding it to my wishlist! Hahaha! Thank you 🙂 they did get quite a bit of love. I was over the moon when I found them in the reduced bin, sometimes a girl gets lucky! I love this post, friend! Such pretty photos from beginning to end. 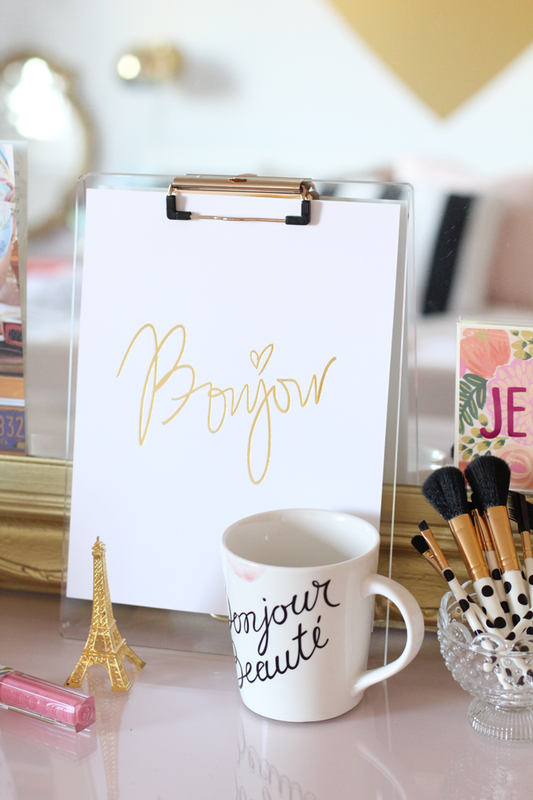 I used the monogram mugs to hold pens/markers for activities during my baby shower last year and as an added bonus, they now are used all over the place to hold fun things like make-up brushes or pens at my desk. I simply adore them. Such a good idea, thank you love!! I love those gold bowls! 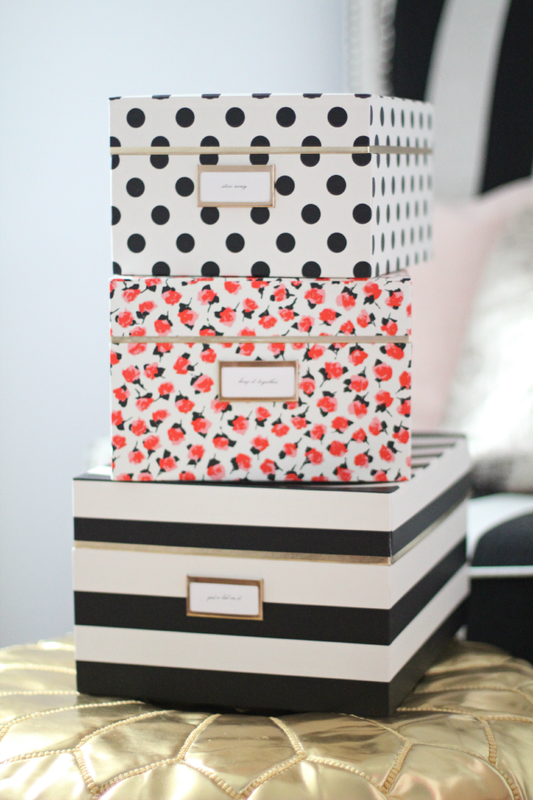 What cute pieces to store jewelry in. 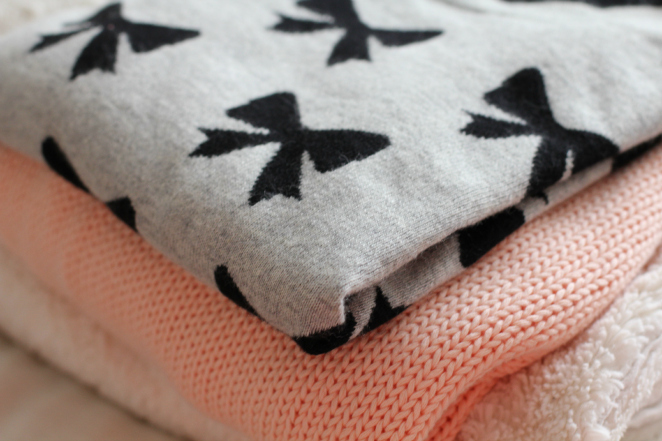 I need to check out F21… They have the best stuff! 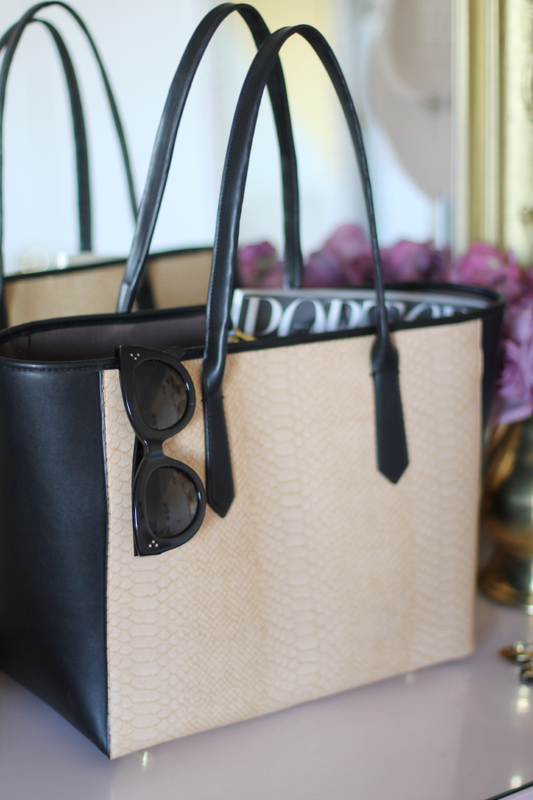 I use the monogram mug to stash my sunglasses. Loved it so much I went back and bought my middle and last initial too! 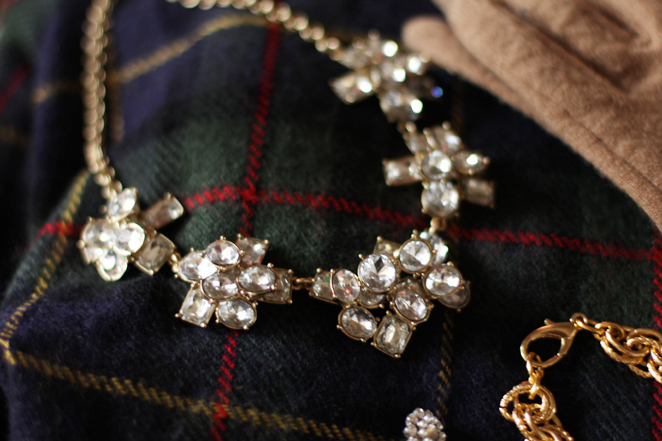 A little sparkle for the holidays. 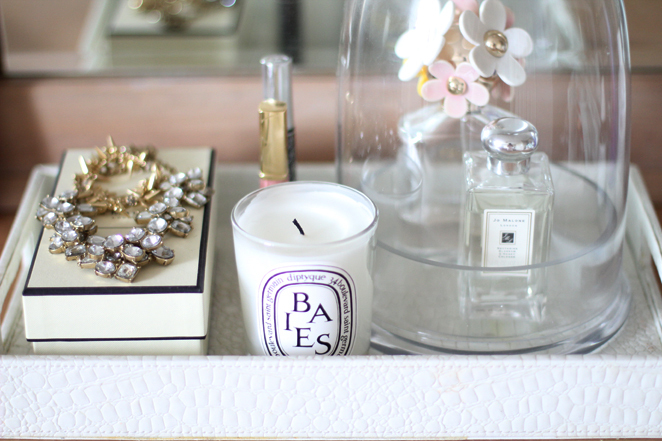 Mother of pearl boxes on my vanity. 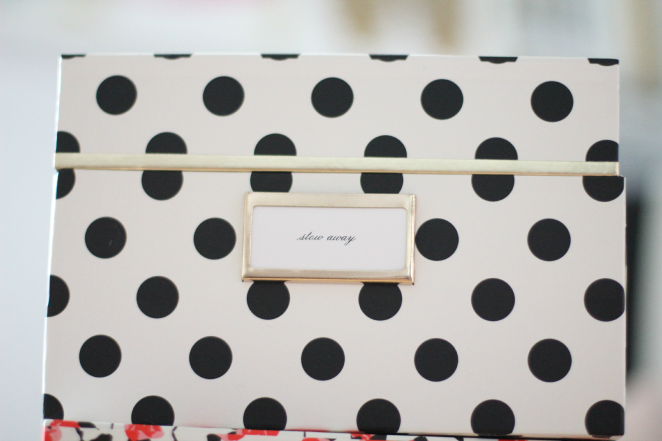 A new SS Print Shop piece + Gold dotted makeup bag. Such gorgeous pictures! 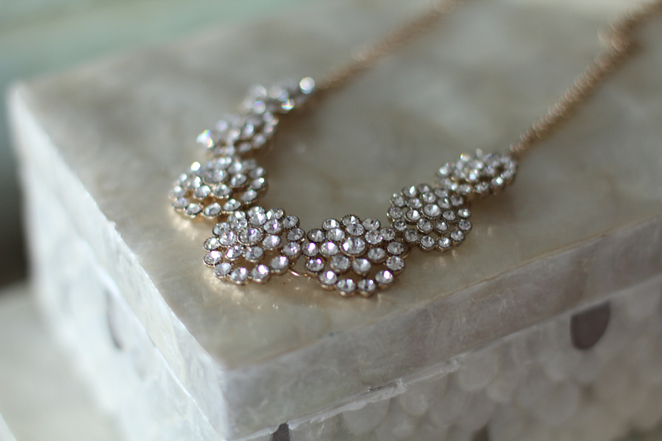 I love those sparkly necklaces! 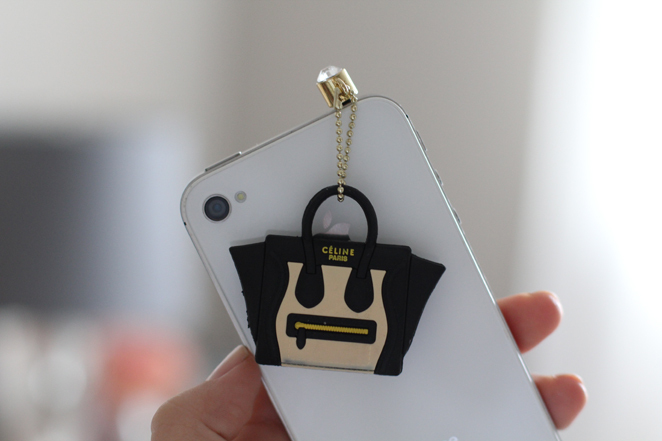 Where did you purchase the Celine Bag phone charm? I'm in love! 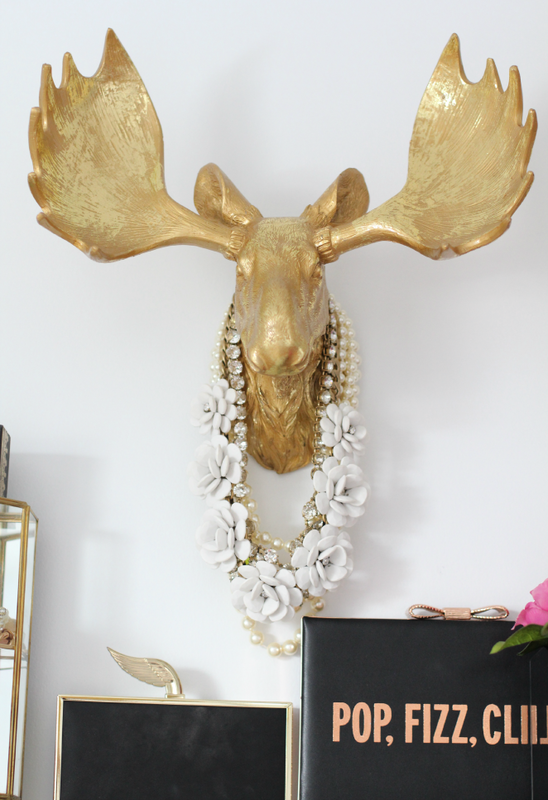 Loving those necklaces for some festive outfits! 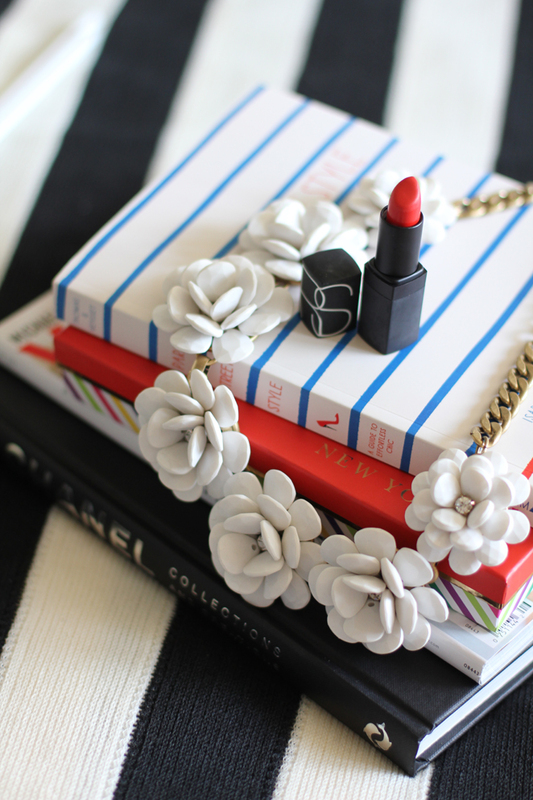 OMG LOVE these necklaces! 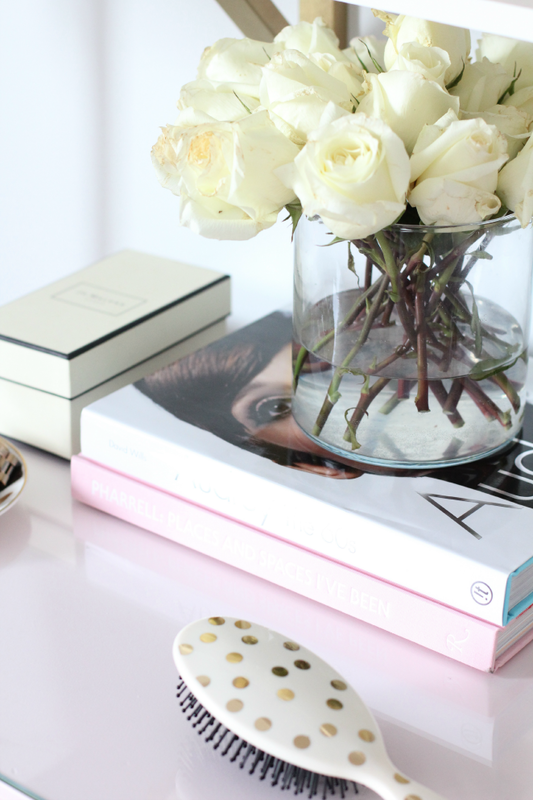 i am a sucker for sparkle just found your blog 🙂 now following! hope u will follow back :)! 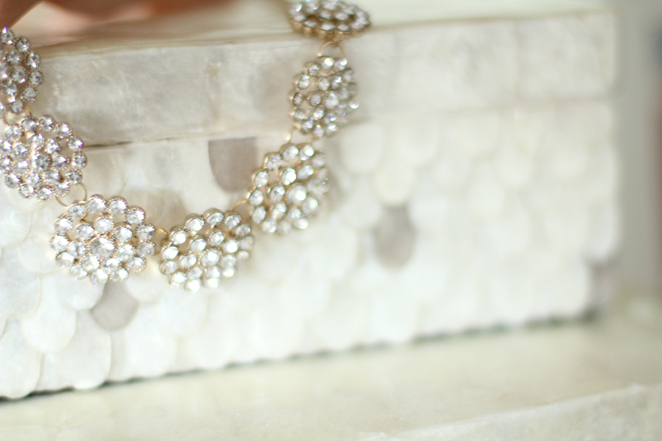 love all sparkly baubles! so fun!! Hope your week is going good! oh my goodness I LOVEEEE everything!! please tell me where that Celine charm is from?! DYINGGGG! 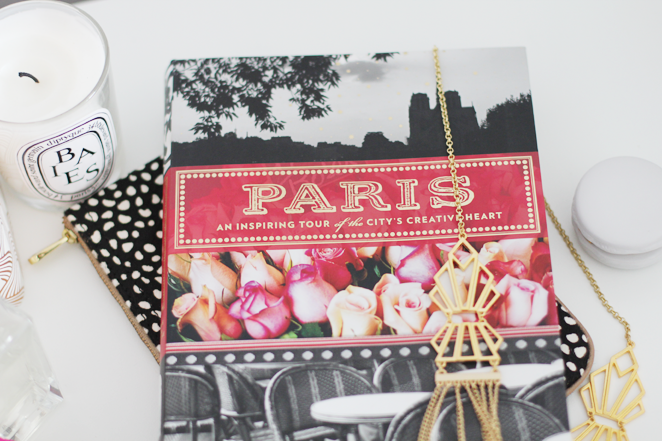 Cupcakes & Cashmere inspo + a lovely gold gilded journal to document big dreams. 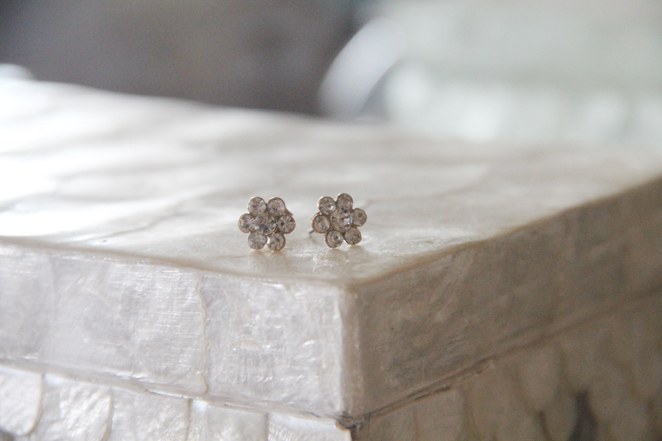 Most worn diamond studs of the moment. 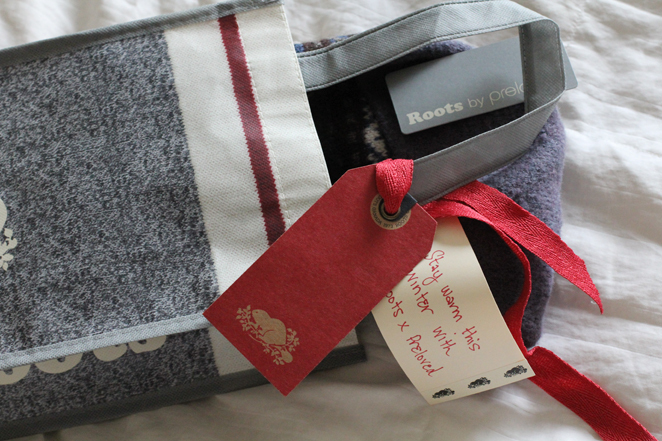 A surprise gift c/o Roots Canada at my door that will keep me warm. My daily inspiration via ssprintshop. 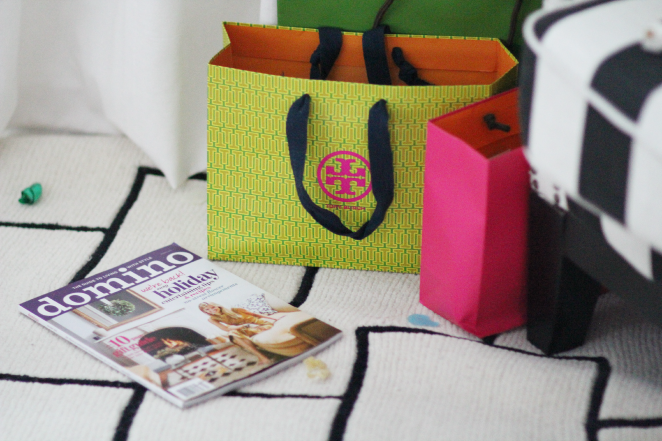 A sweet thank you package c/o Blush Shop with these goodies. P.S. 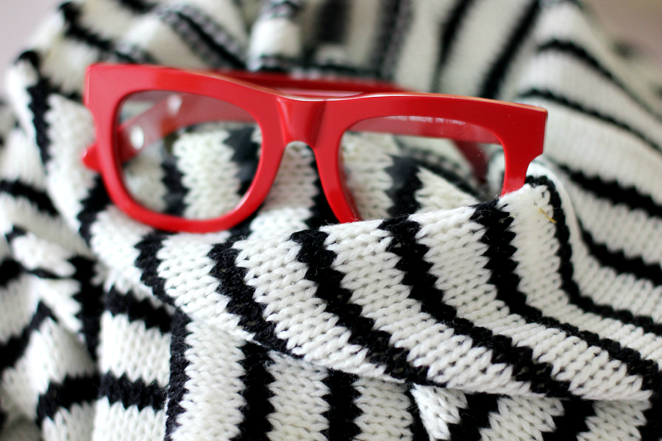 I am guest blogging over at Michaela Noelle Designs today! I love these! Definitely checking out that journal and the print shop! 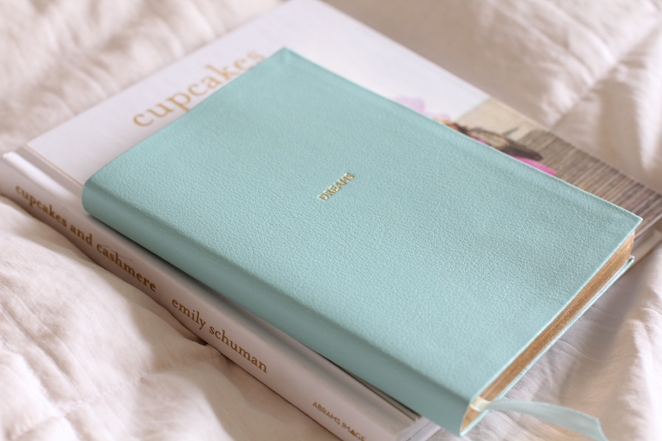 I love that journal!! I'm in need of a new journal soon! I'm a sucker for anything gold embossed or gilded! 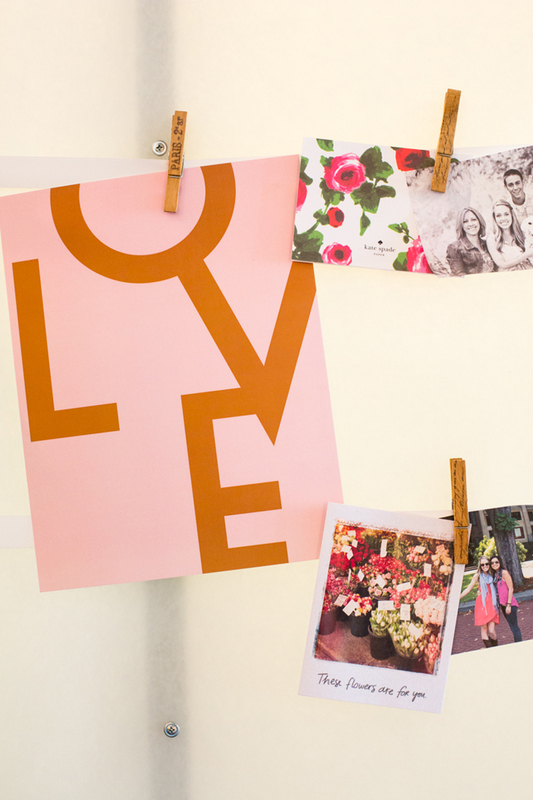 Oh, I want that LOVE print. So so pretty. 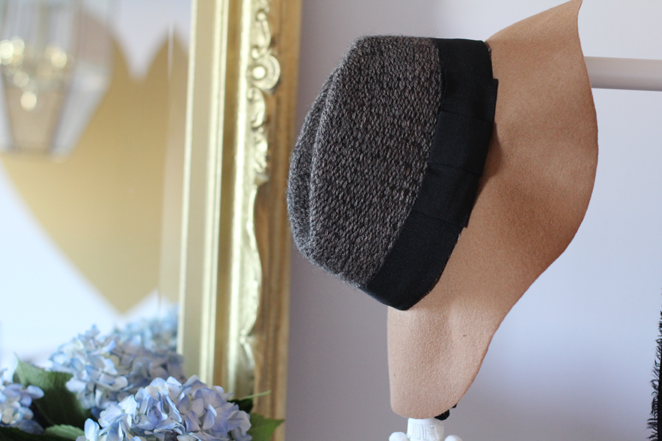 Just discovered your blog and its amazing! 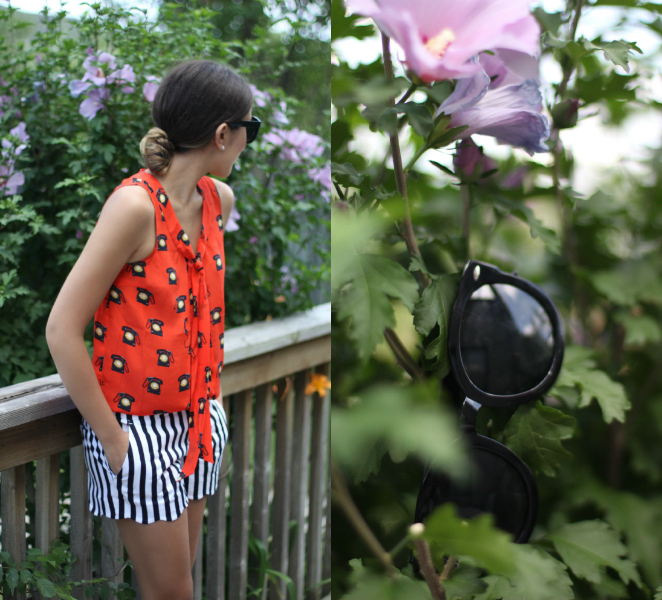 Love it when i find an awesome Toronto blogger. Woot! 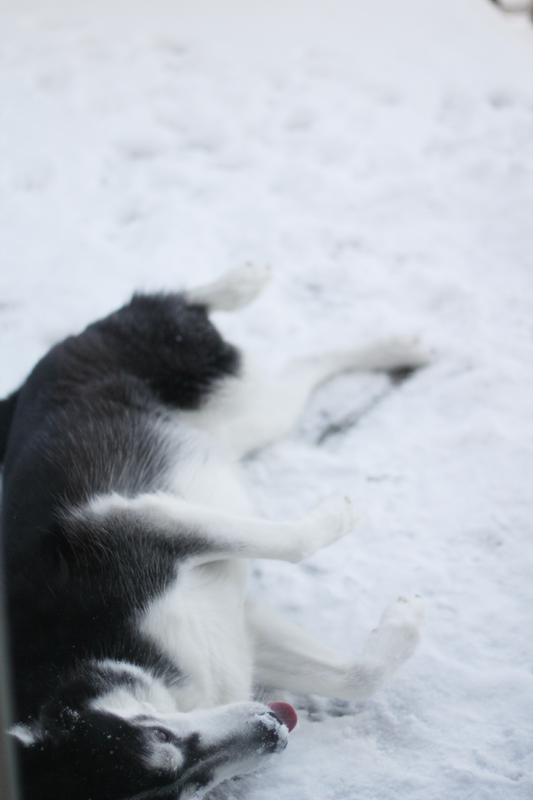 Stopping by from Michaela's blog! Love your blog. 🙂 New follower! I love all these photos! I especially love that print. I think I need it, that verse was read at my wedding! Also I'm a huge fan of the Lollia range. 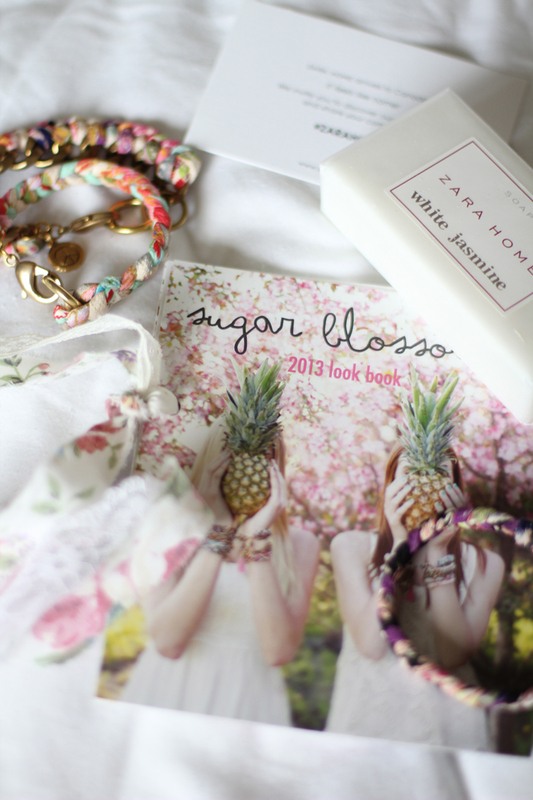 Everything smells wonderful and is packaged so beautifully! 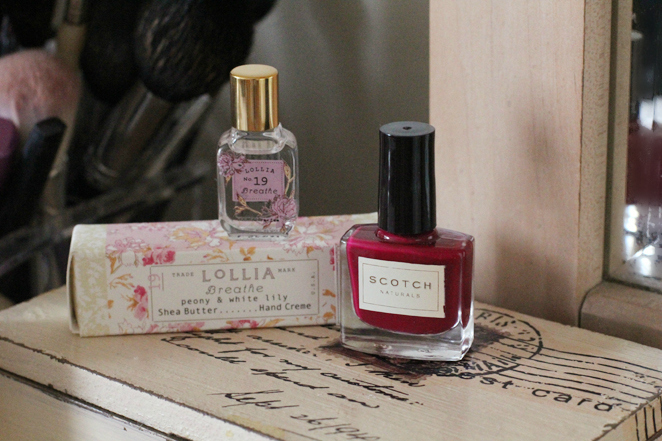 Love lollia too, the scents linger but are not overpowering to the point where you get a headache.